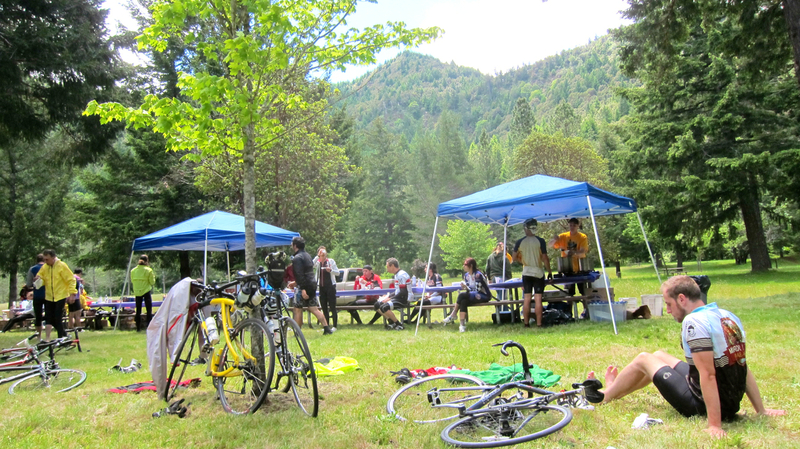 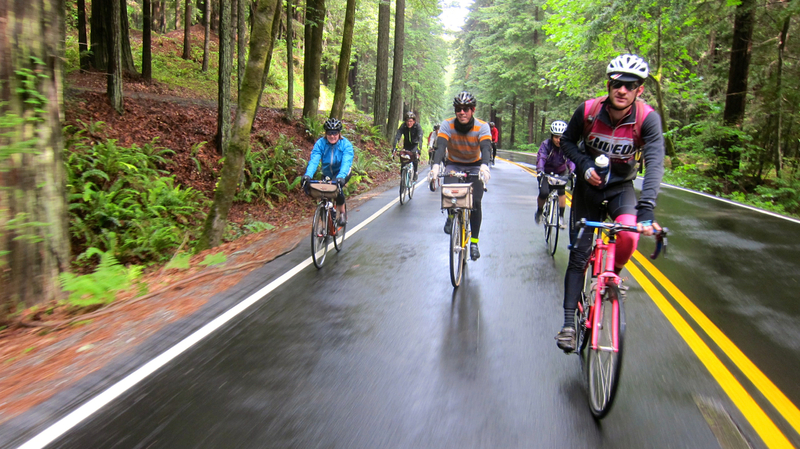 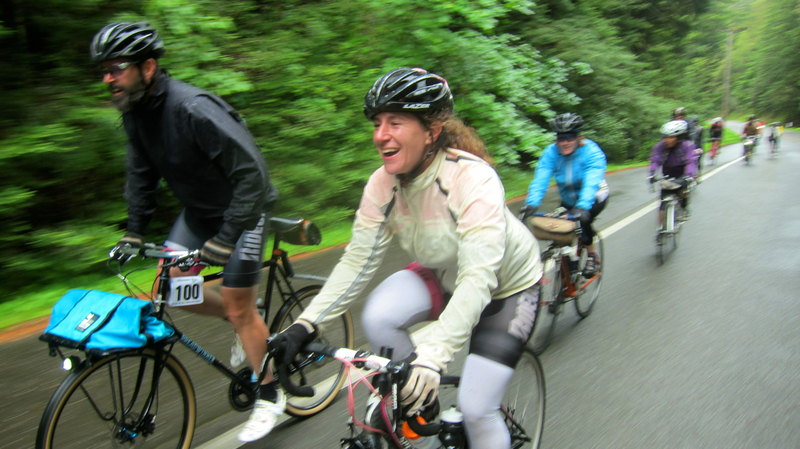 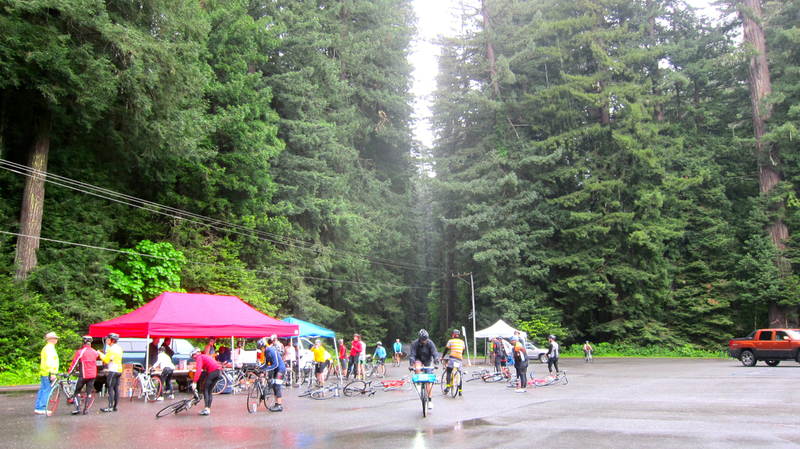 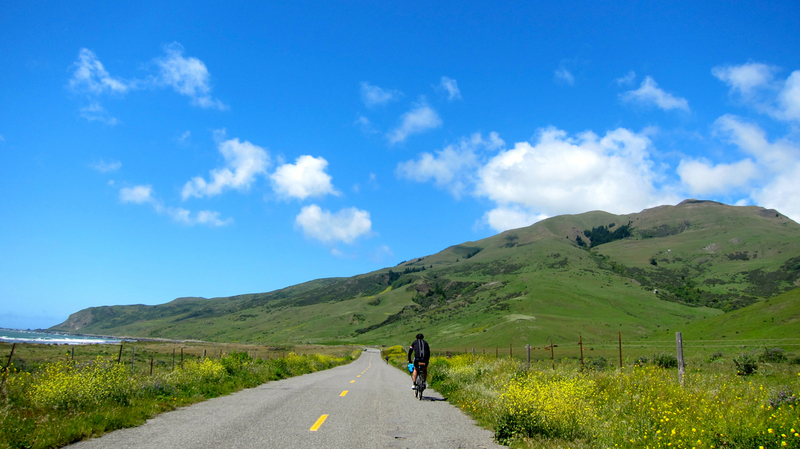 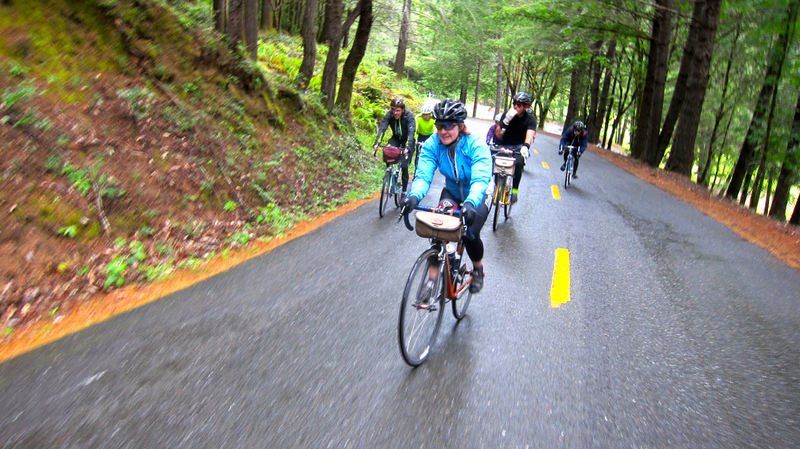 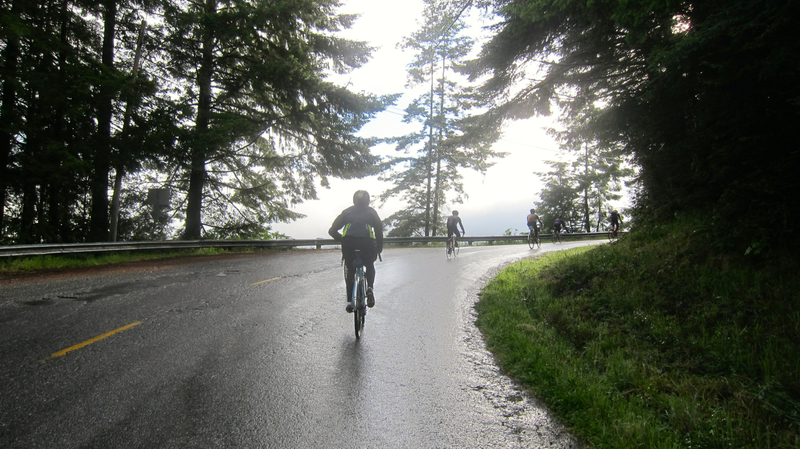 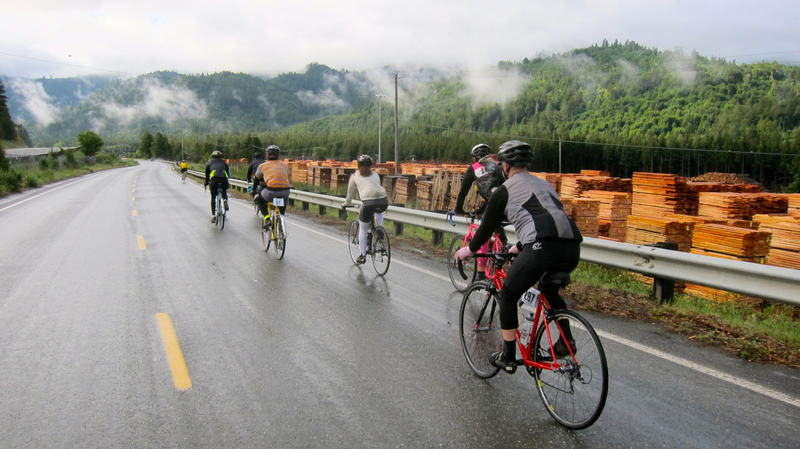 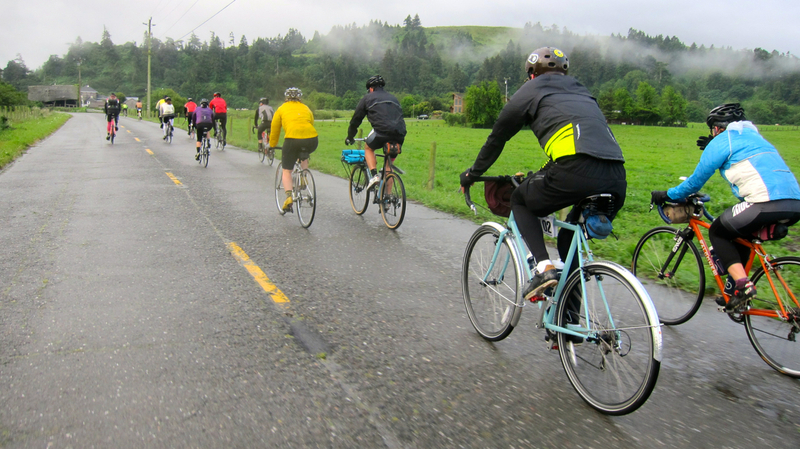 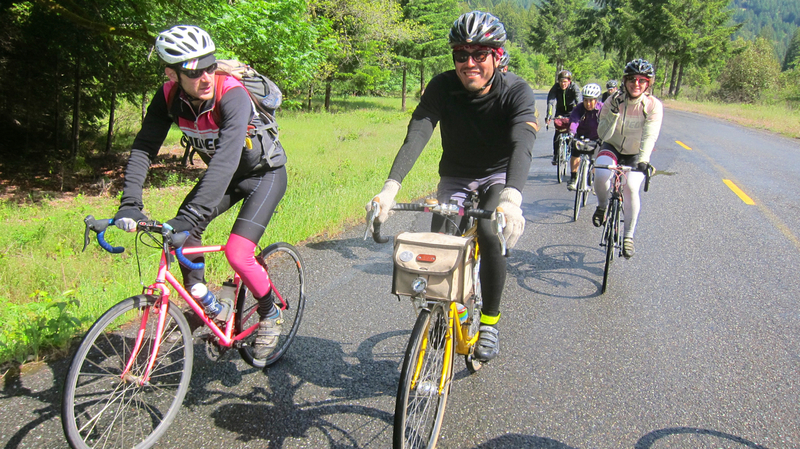 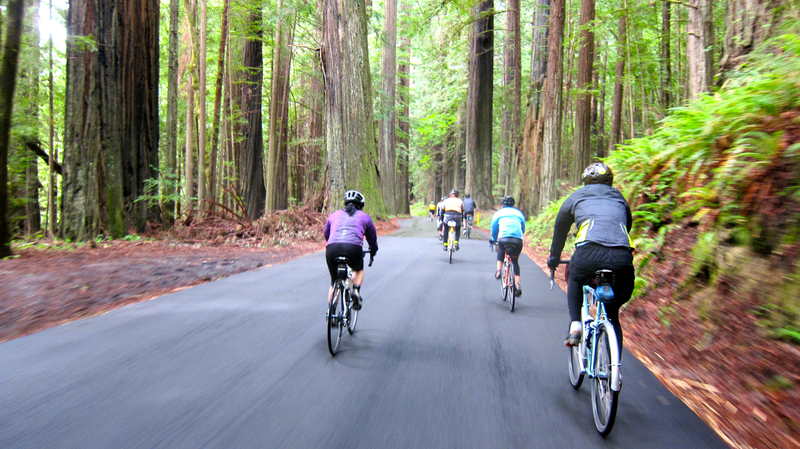 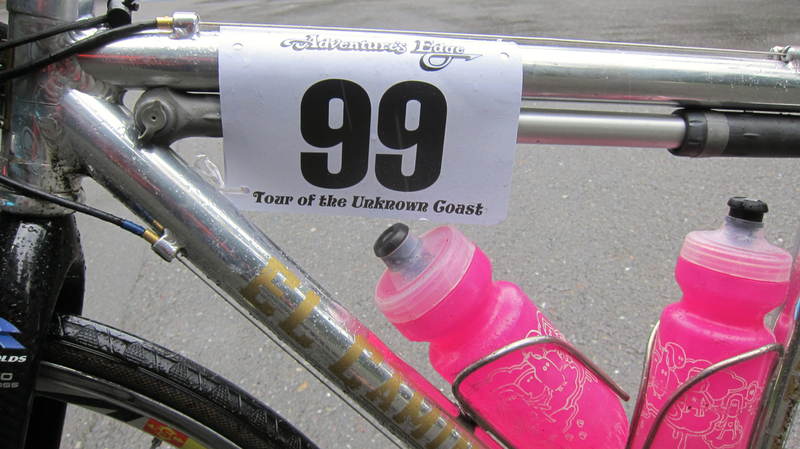 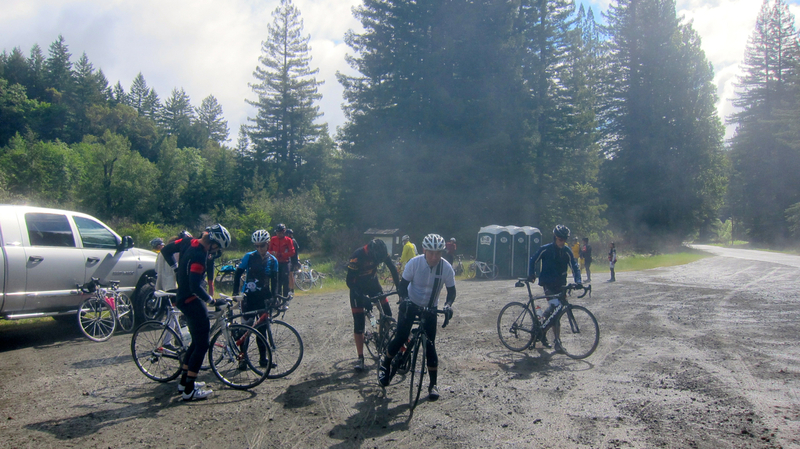 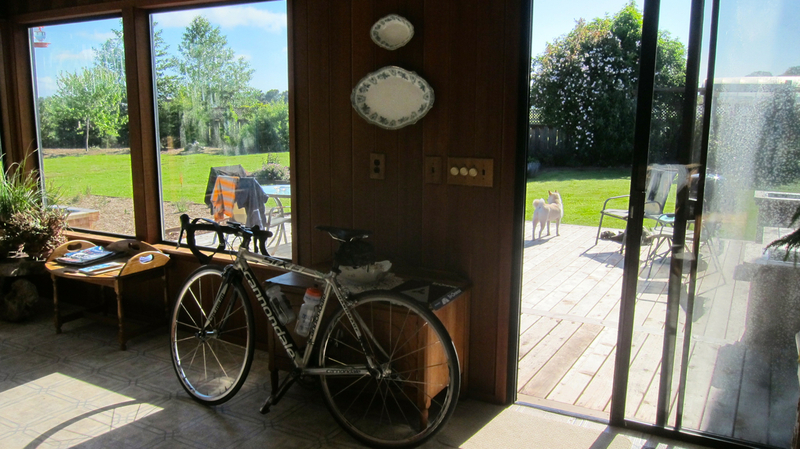 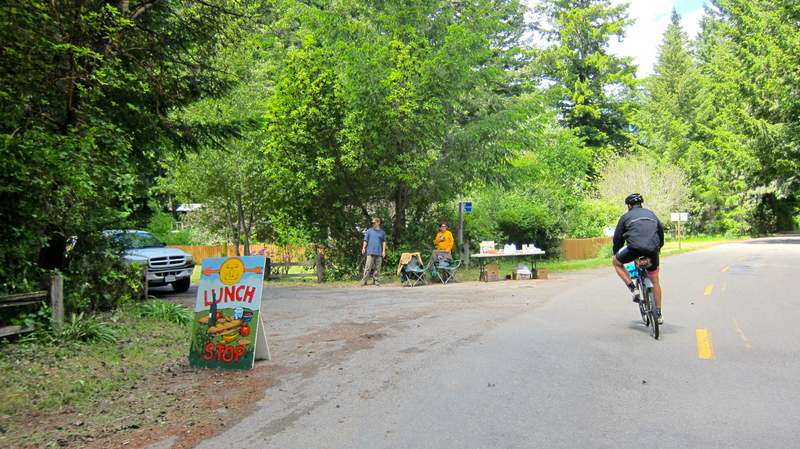 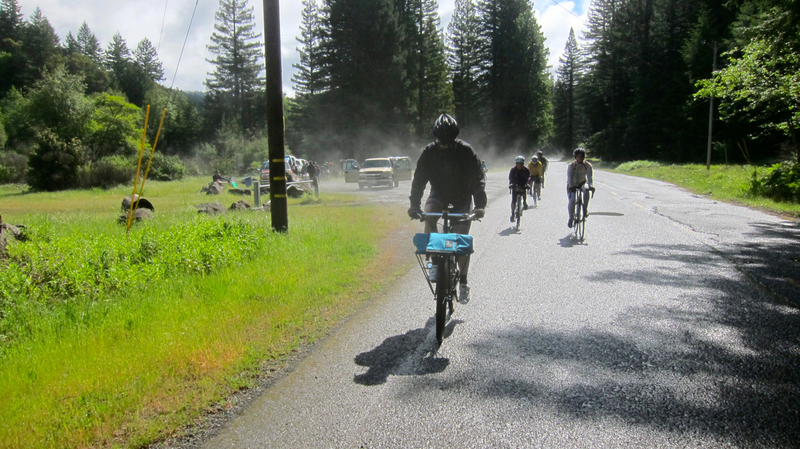 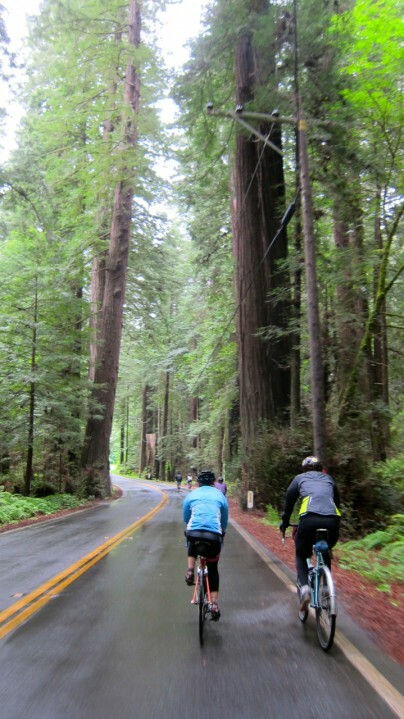 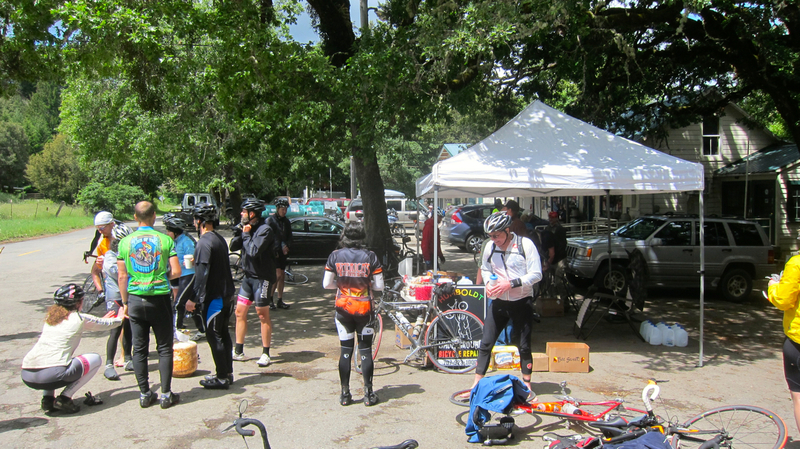 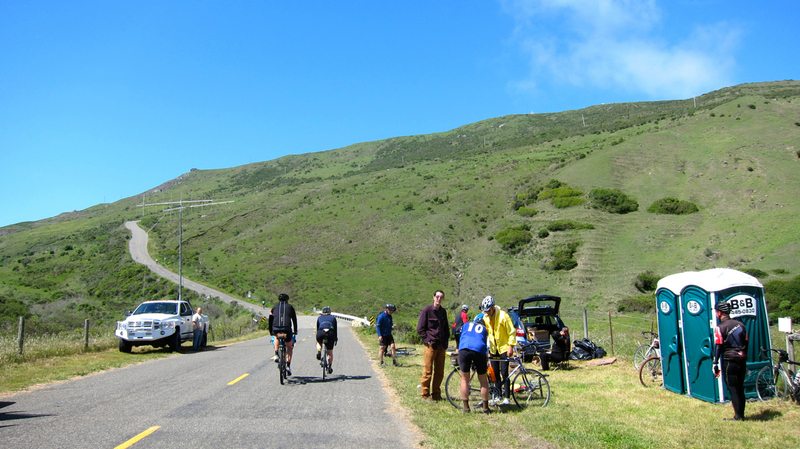 Billed as “California’s Toughest Century”, May corralled a big group of us Ride-On folks to ride her favorite annual 100-mile route: The Tour of the Unknown Coast. 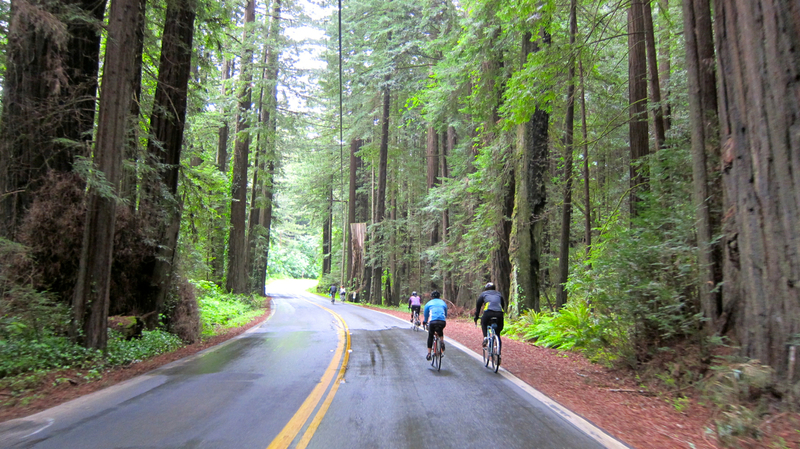 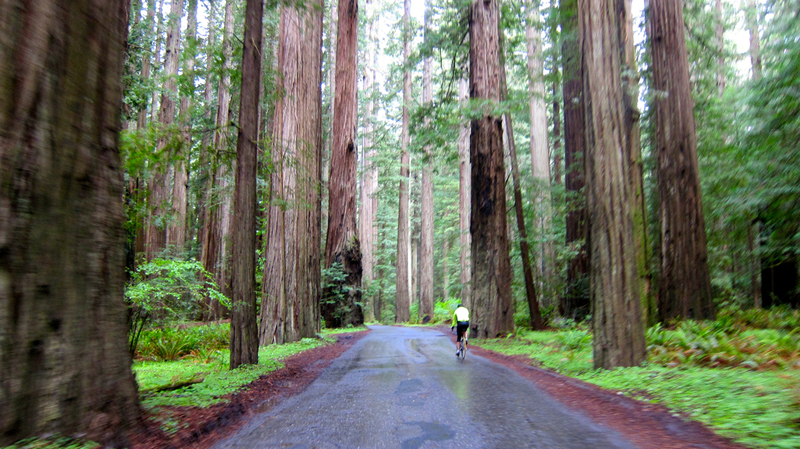 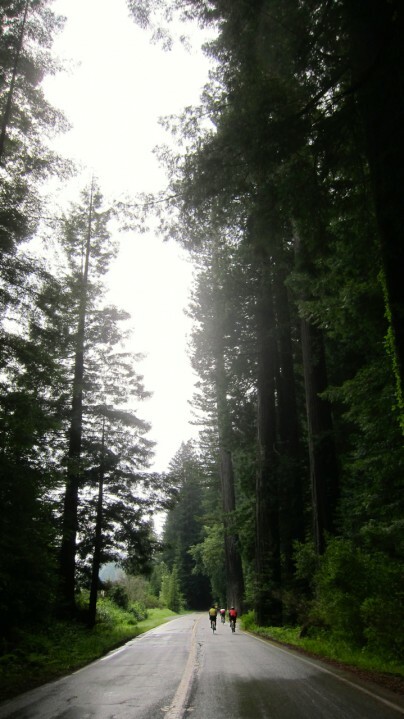 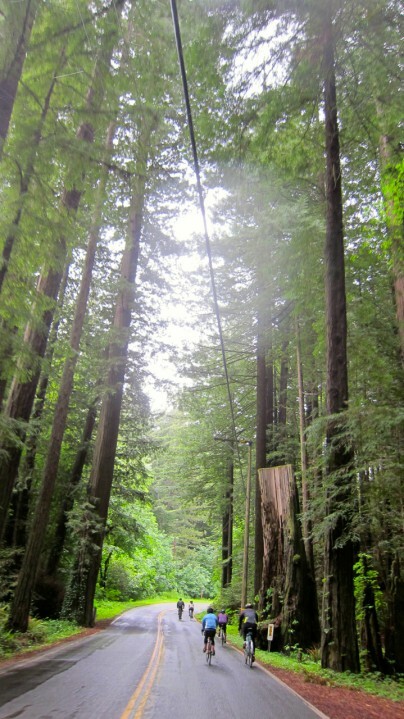 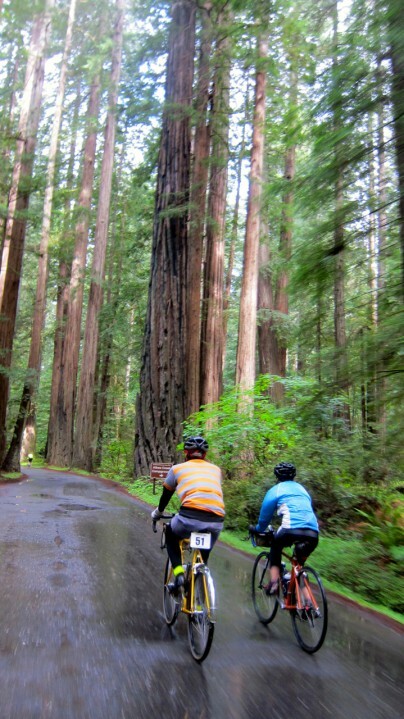 It’s a spectacular course with a little bit of everything that Northern California has to offer: the towering redwood groves within the Avenue of the Giants; a 6.8-mile climb up Panther Gap Ridge; the lush rolling green hills of Mattole Valley; a long stretch of headwinds along the Pacific Ocean; the infamous climb up “The Wall” that leads to “the Endless Hills”; then a descent down Wildcat back into Ferndale. 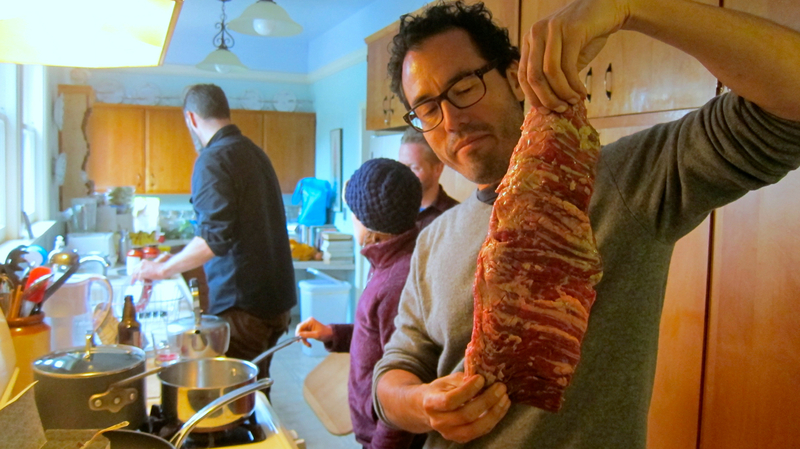 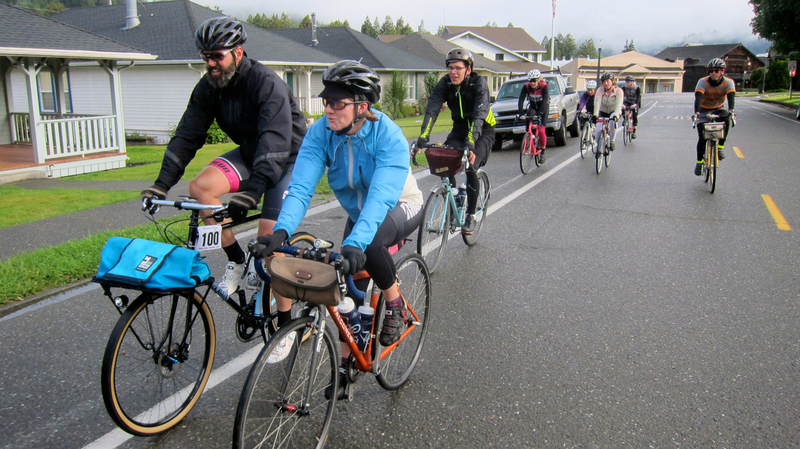 Bridget, Chava, Daniel, Jorge, May, Neil, Nick, The Bearded One, Ulrika and myself headed out into the cold rain just after 7AM from the Humboldt County Fairgrounds. 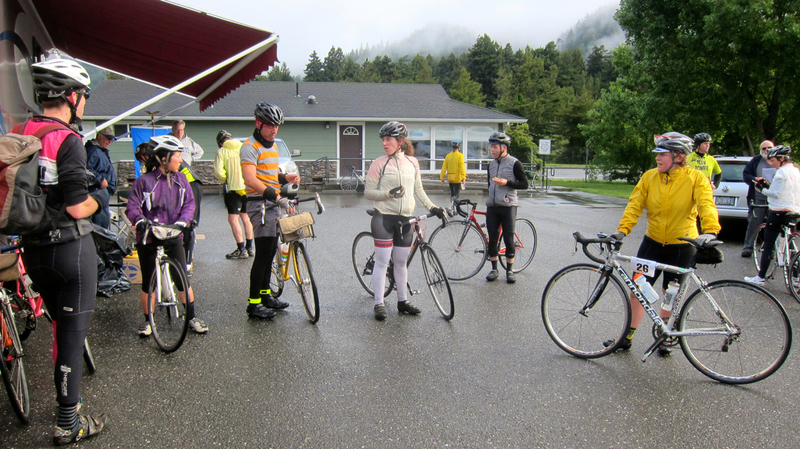 When we reached the second rest stop at the Immortal Tree Gift Shop in Pepperwood just 25 miles in, we were shivering and soaked from the morning’s deluge. 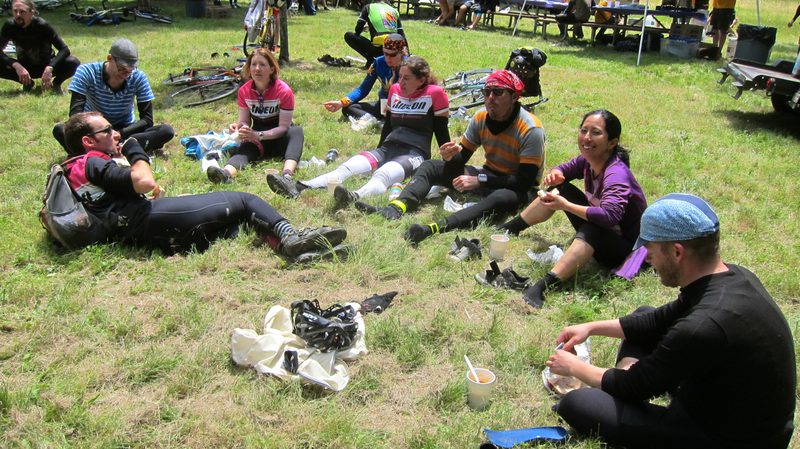 But by the time we finished climbing Panther Gap Ridge, the rain had cleared; we defrosted and relaxed in the sunshine at the lunch stop at 63 miles. 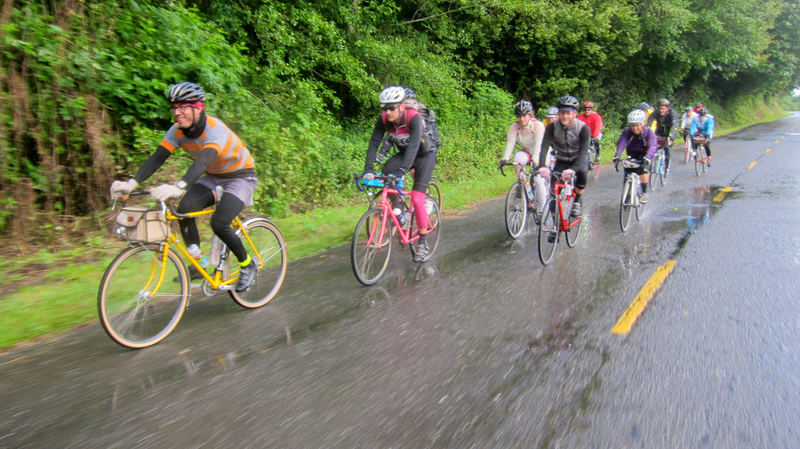 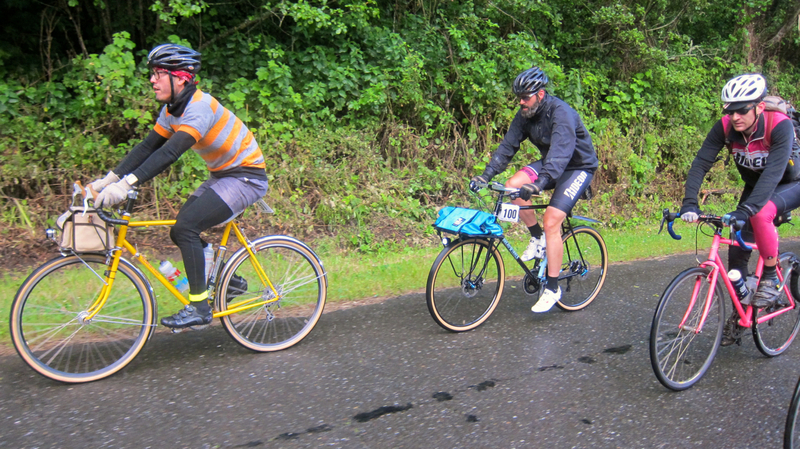 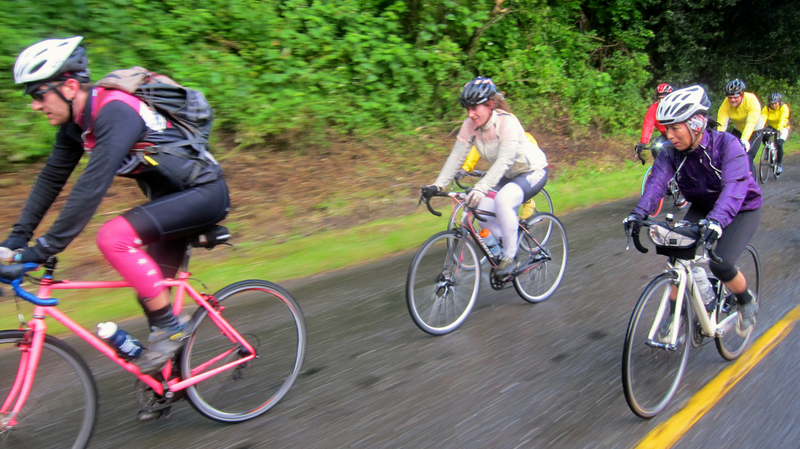 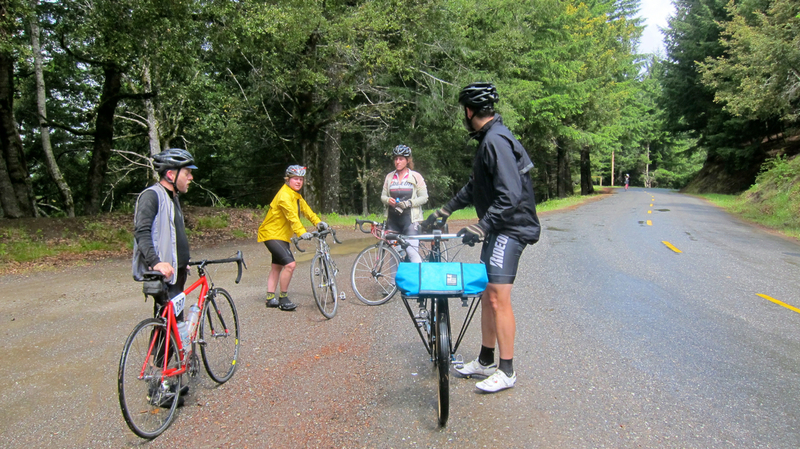 At this point, the group splintered and we all formed our own separate squads to tackle the rest of the ride. 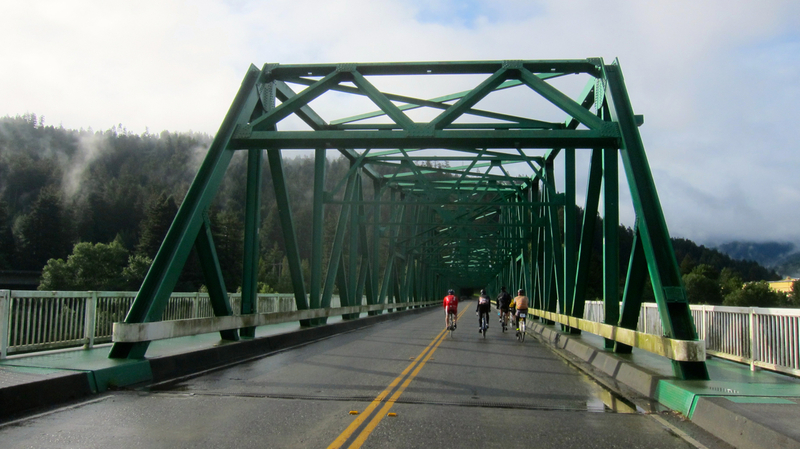 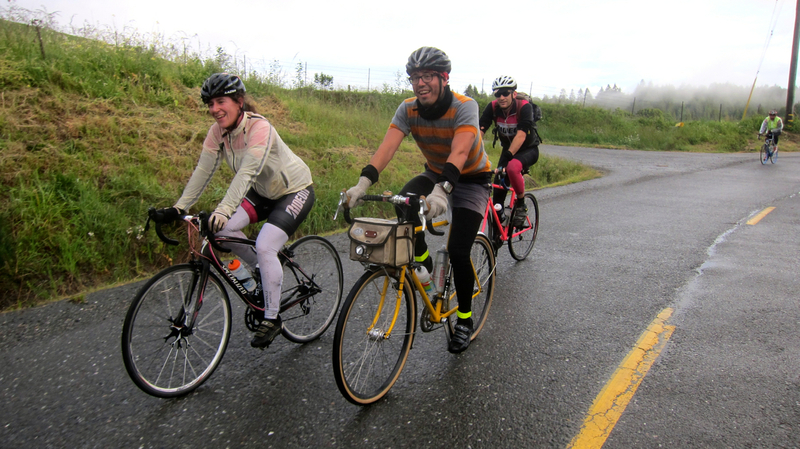 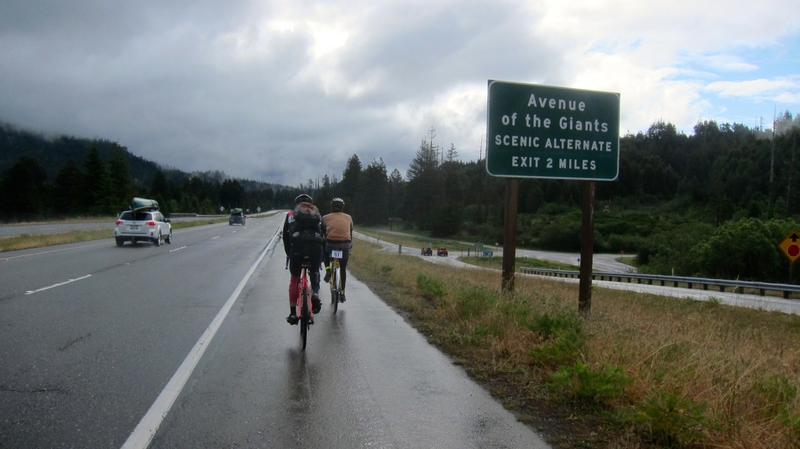 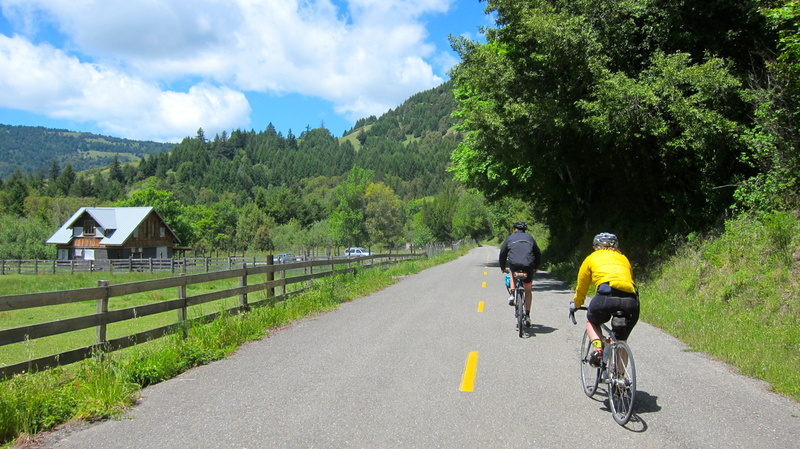 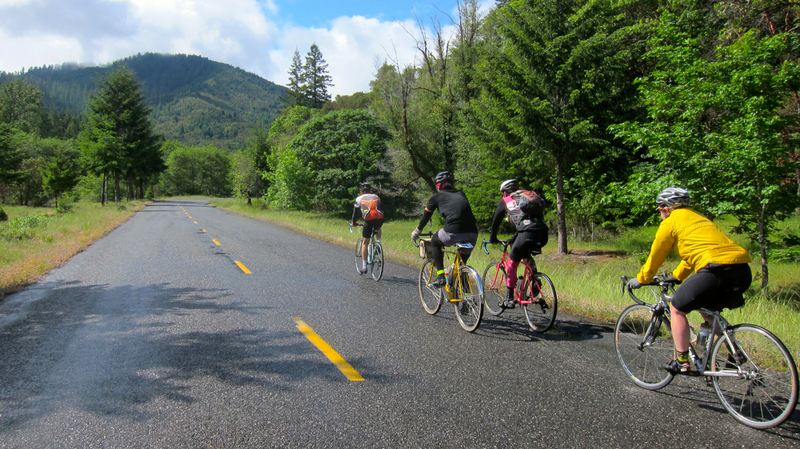 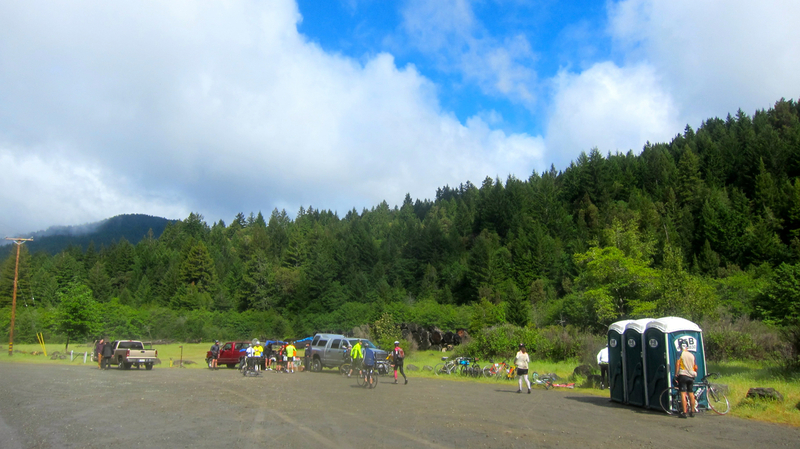 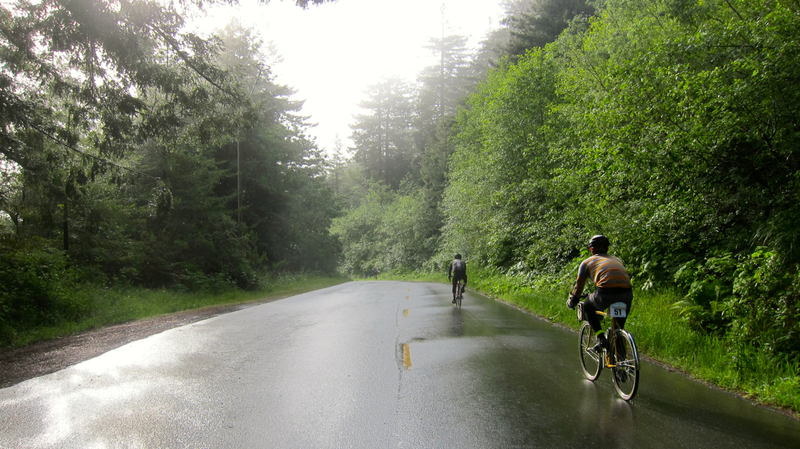 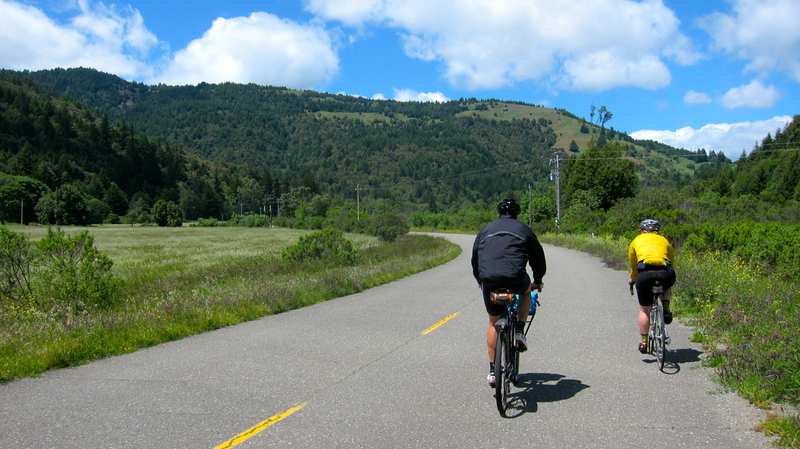 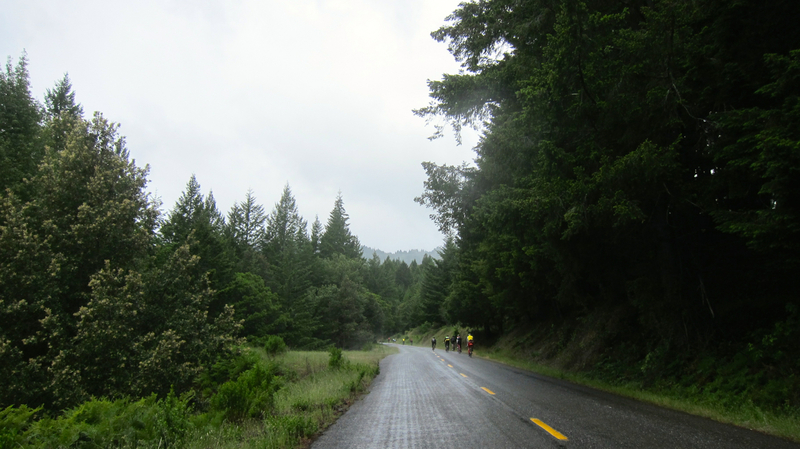 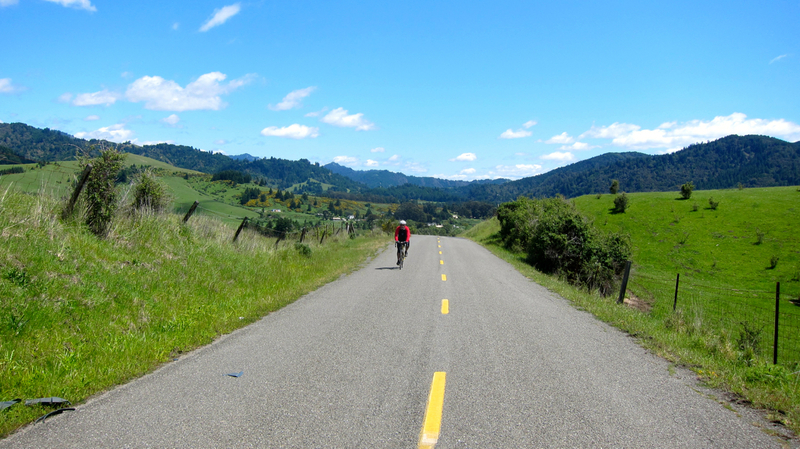 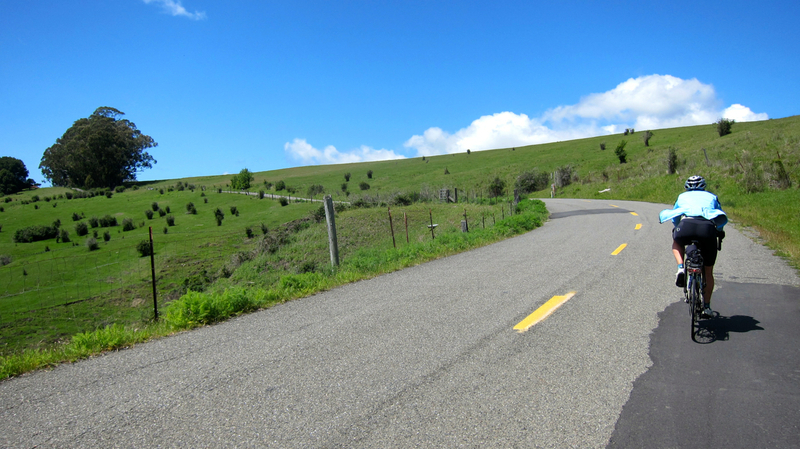 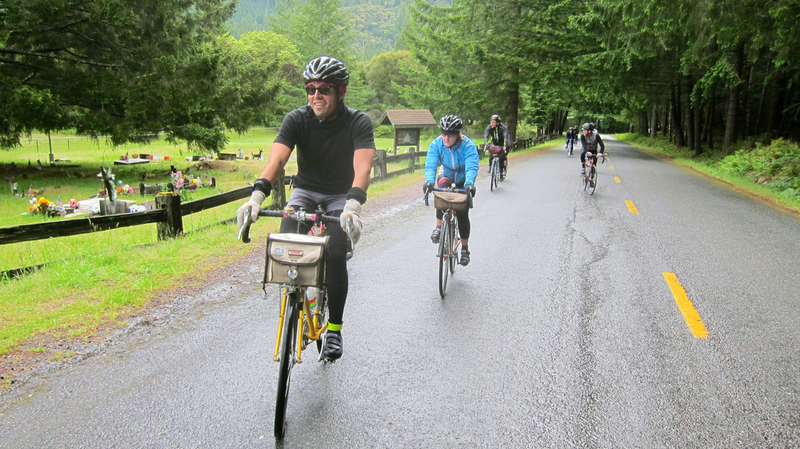 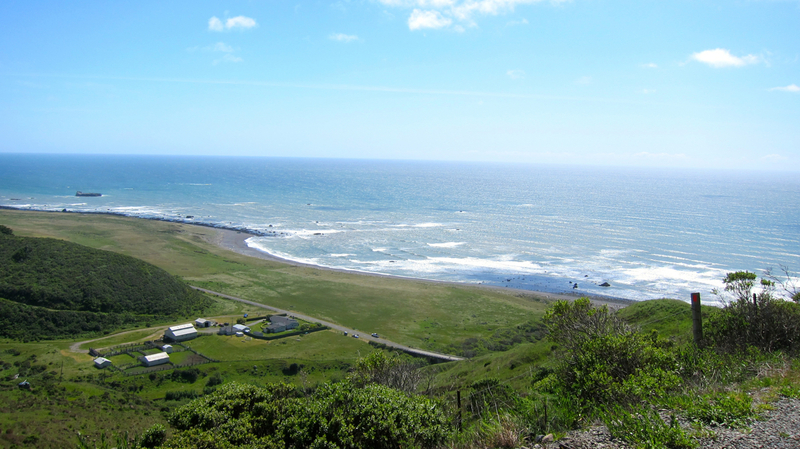 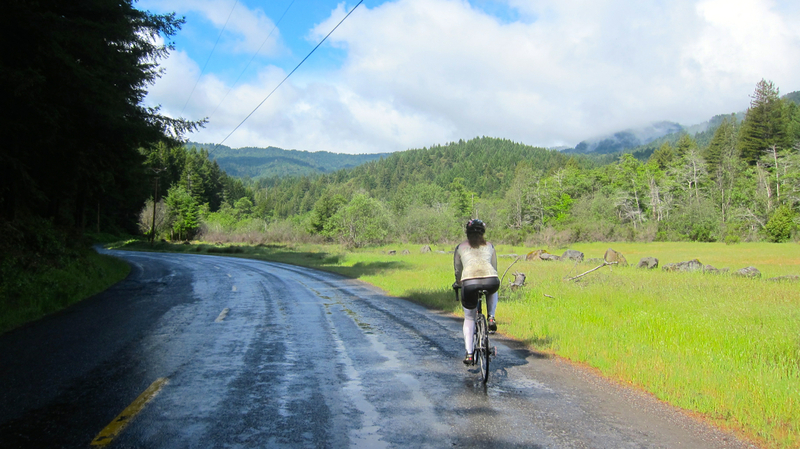 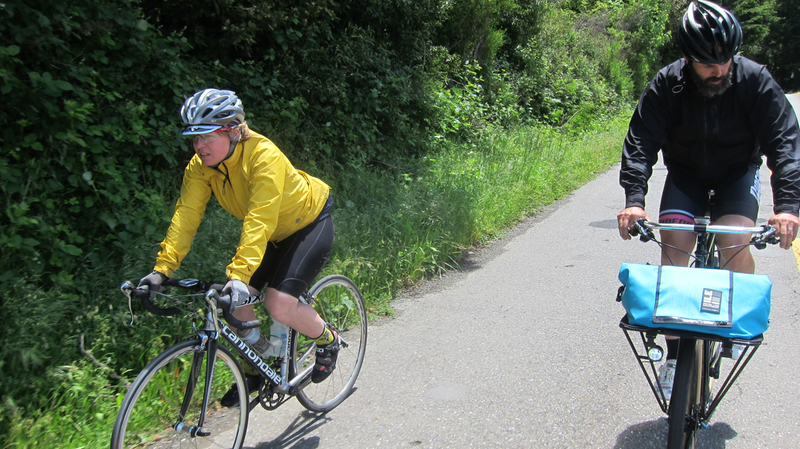 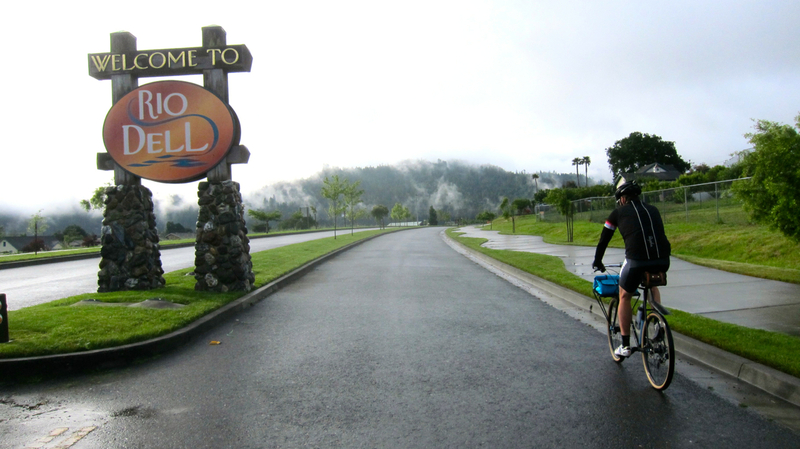 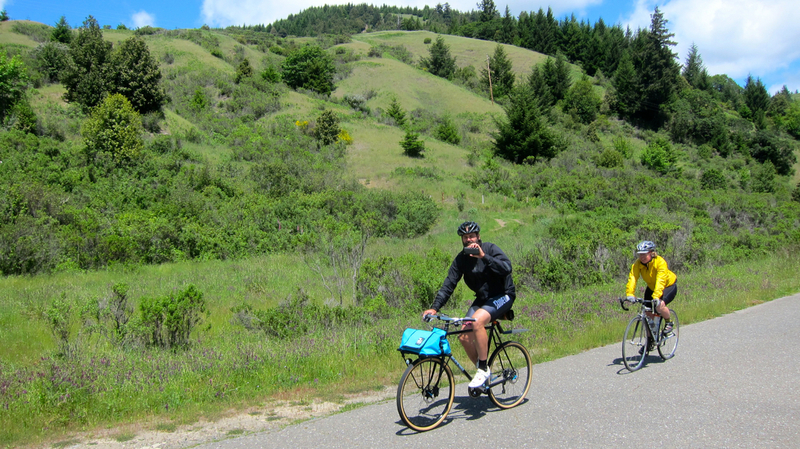 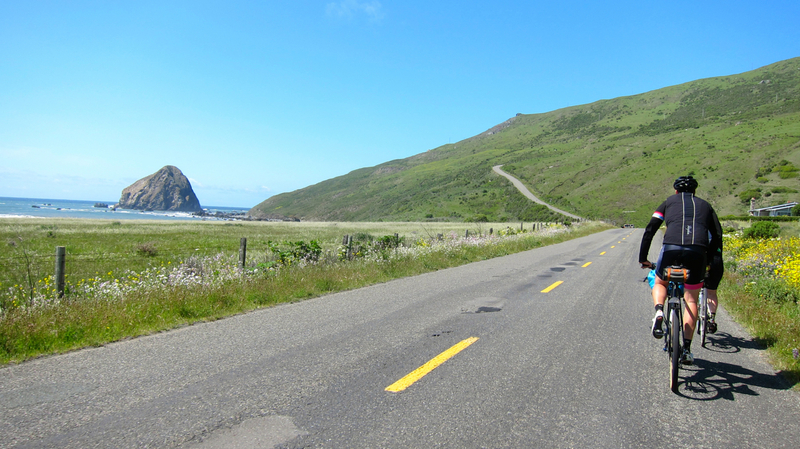 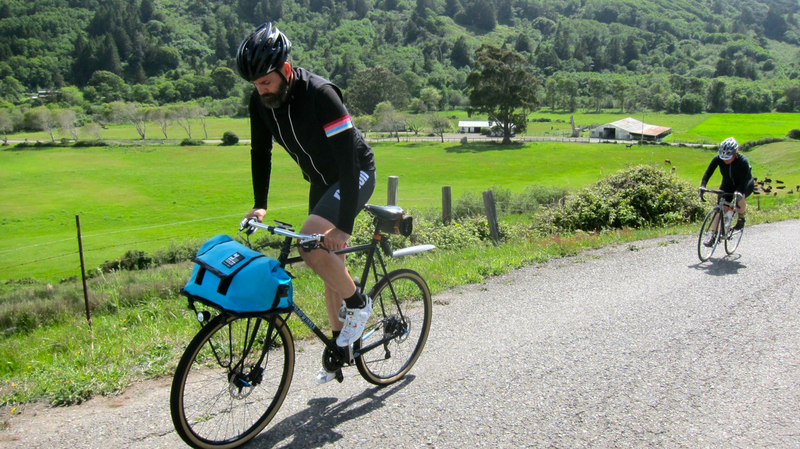 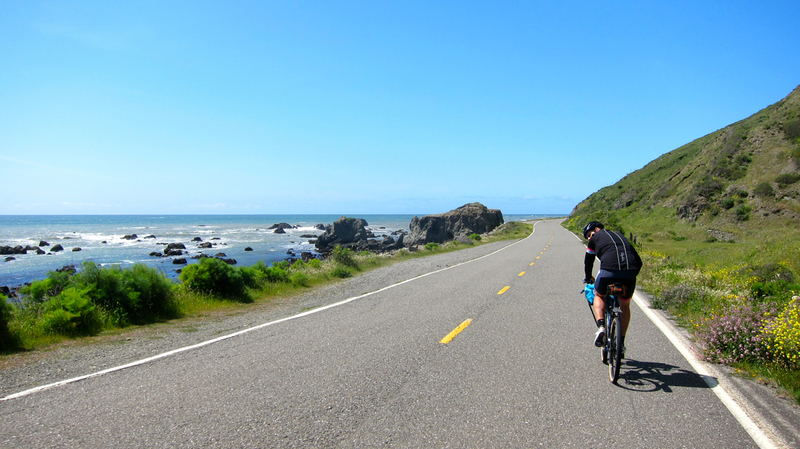 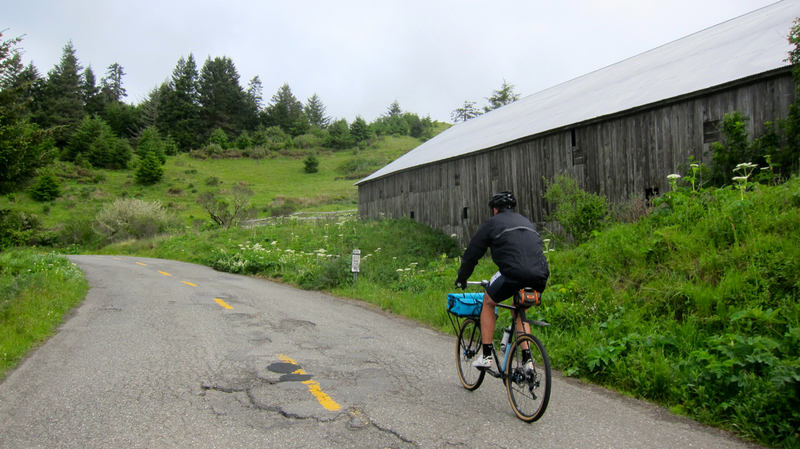 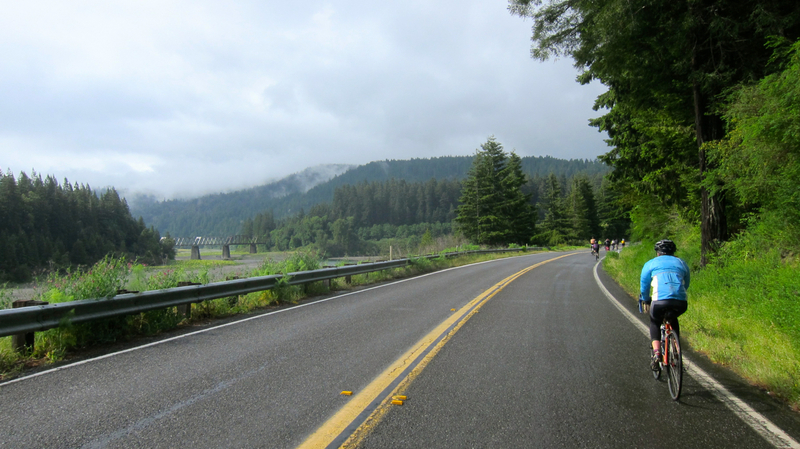 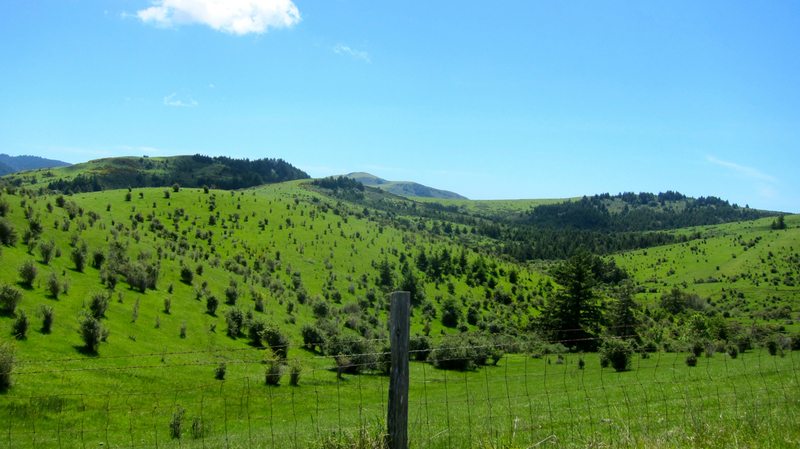 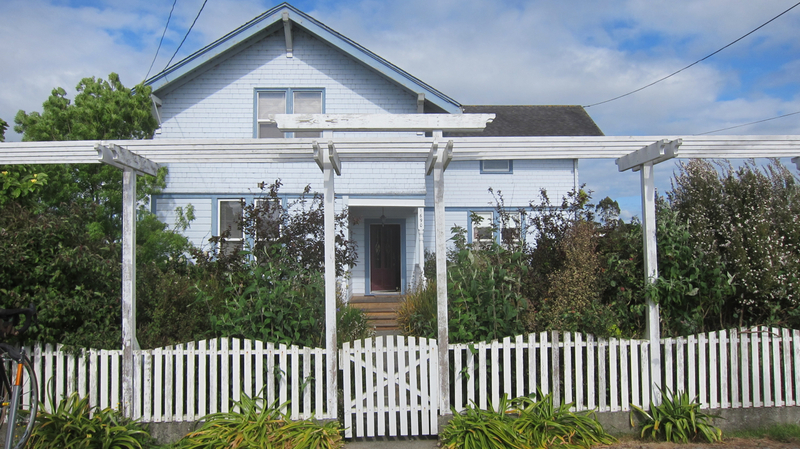 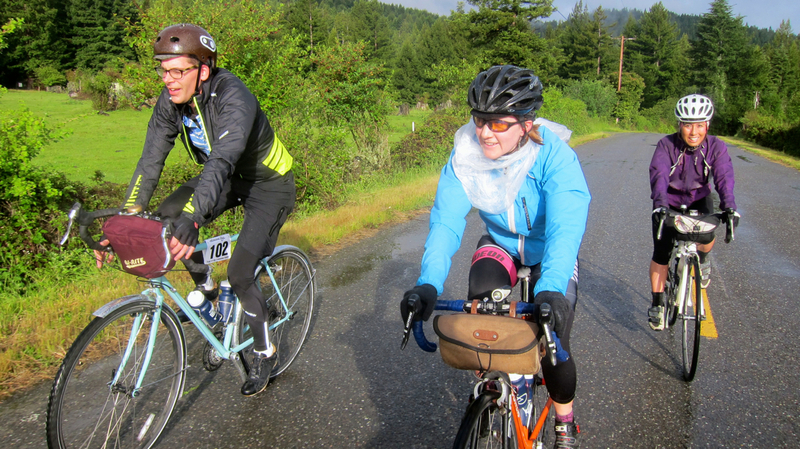 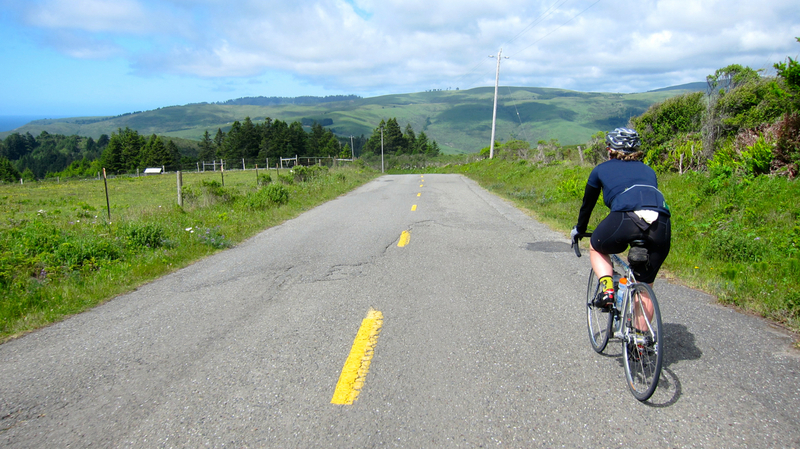 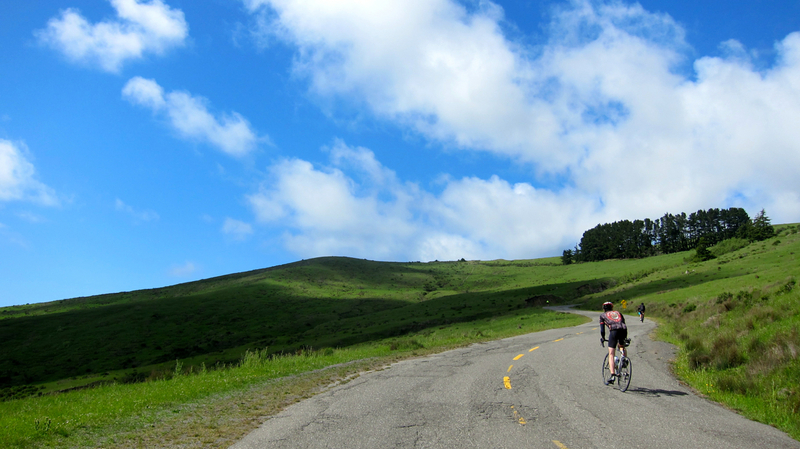 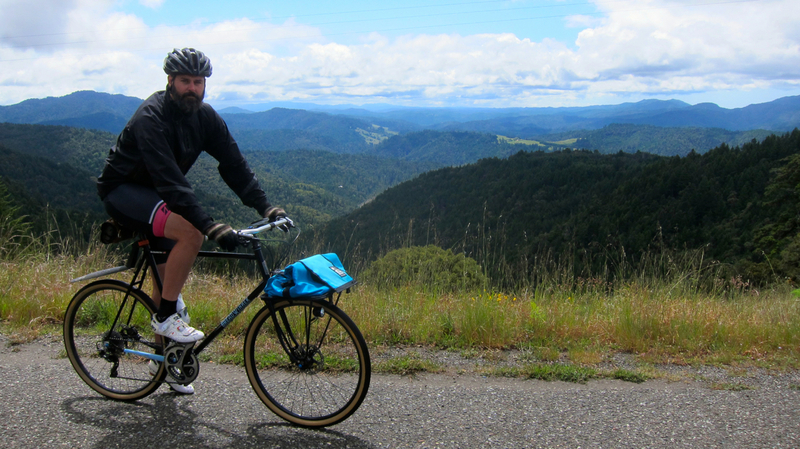 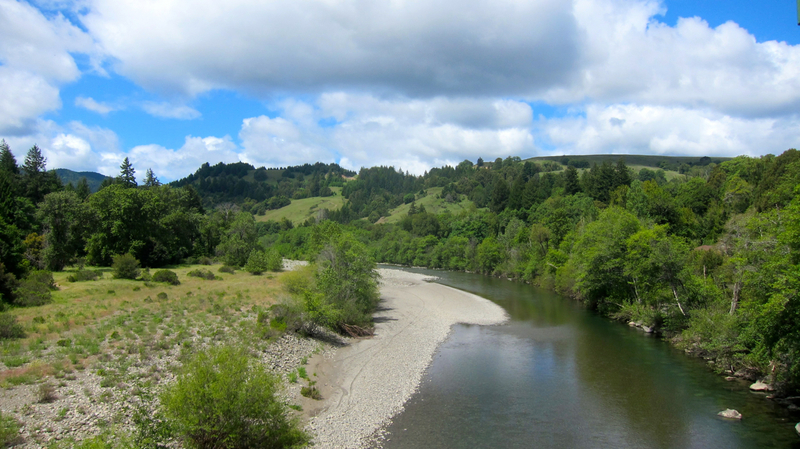 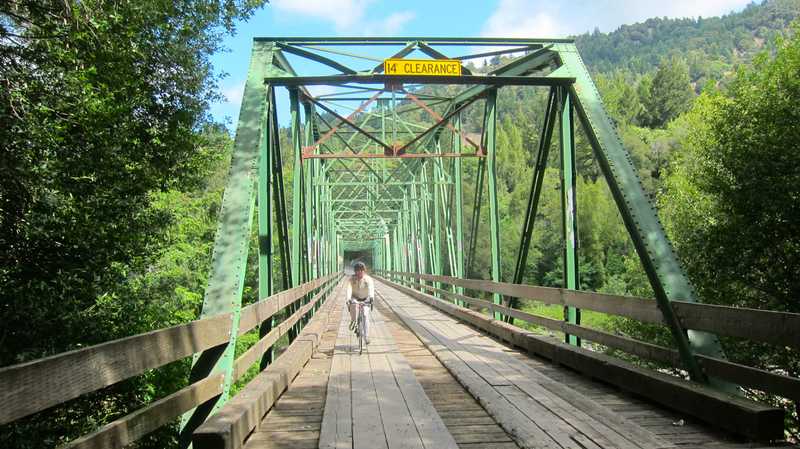 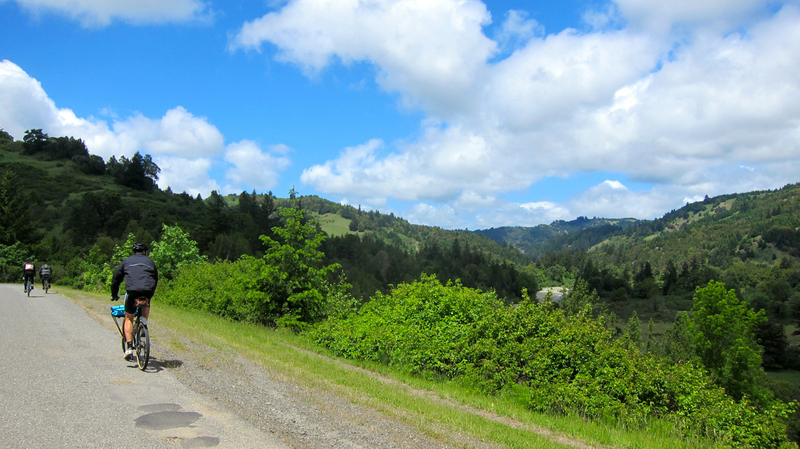 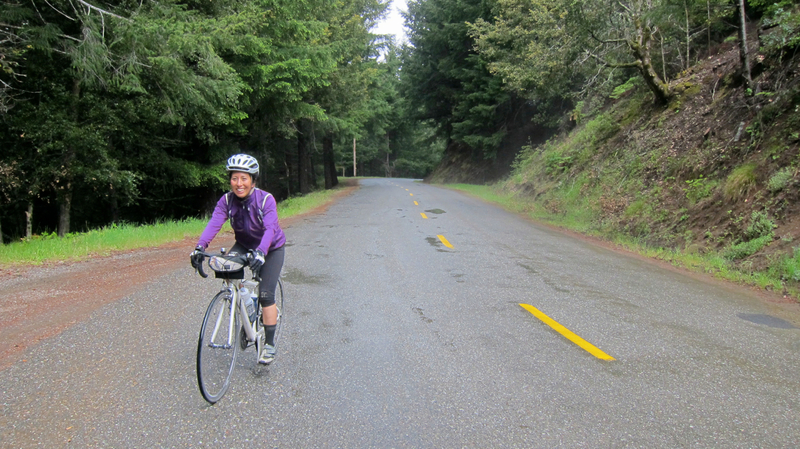 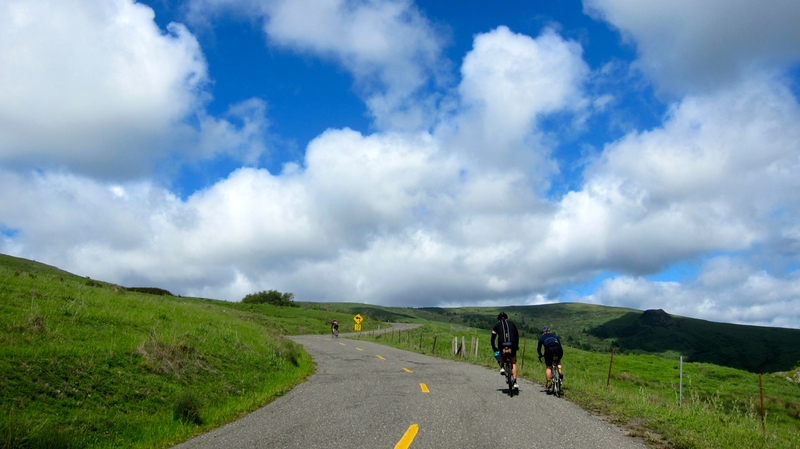 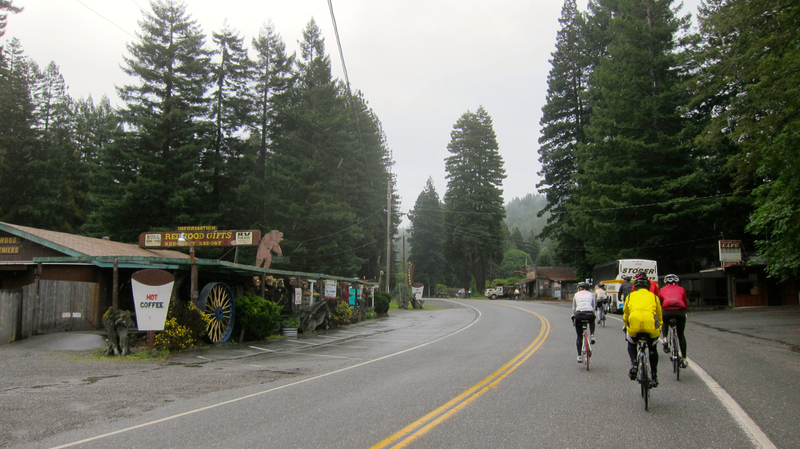 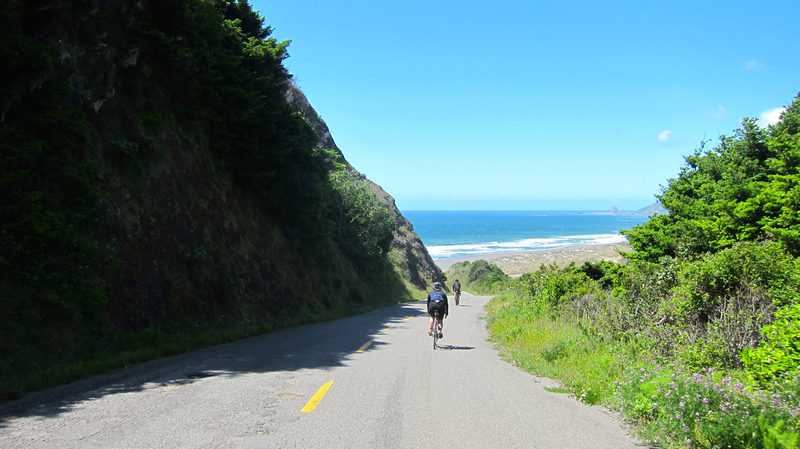 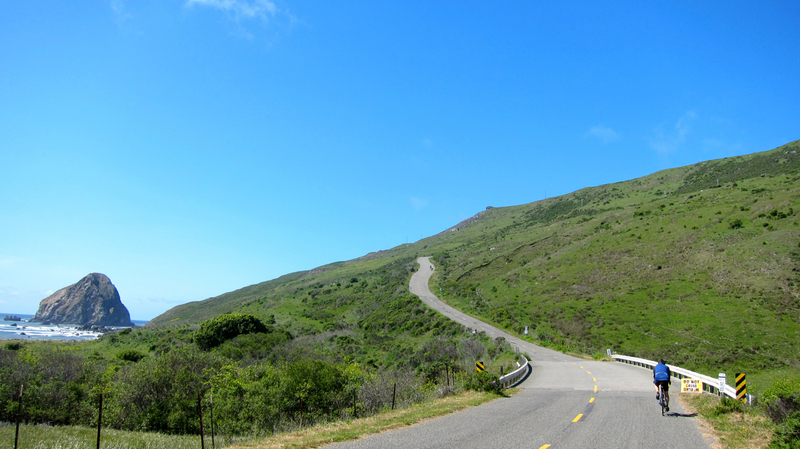 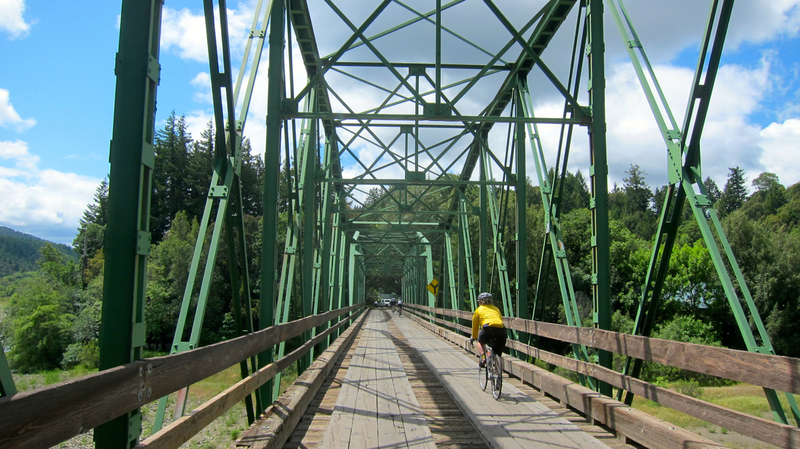 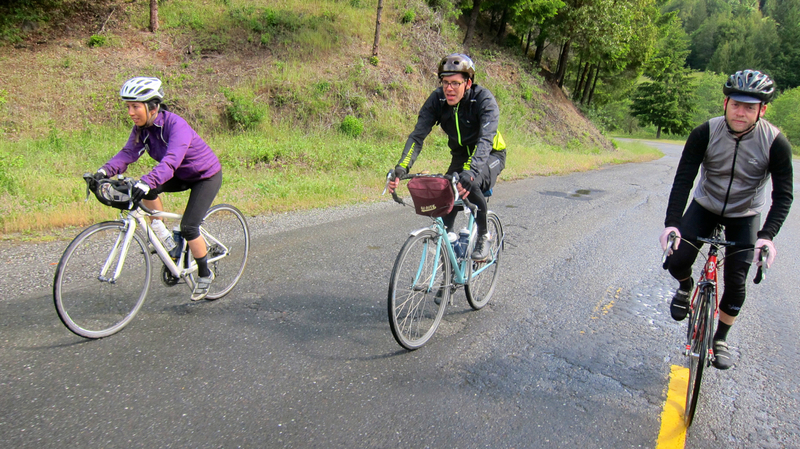 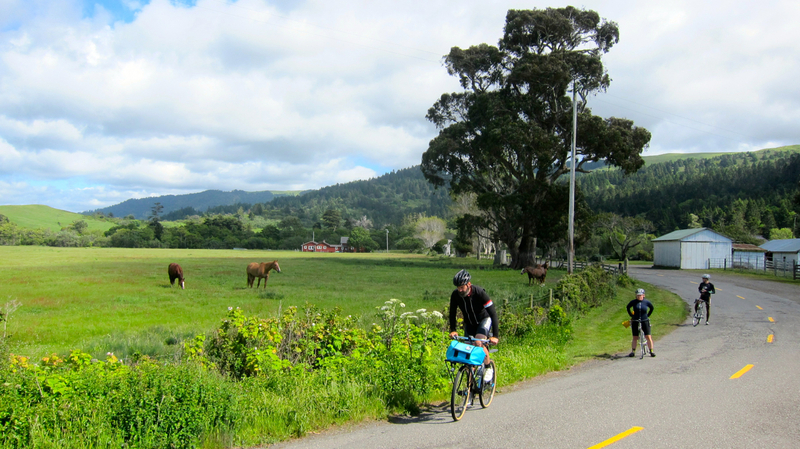 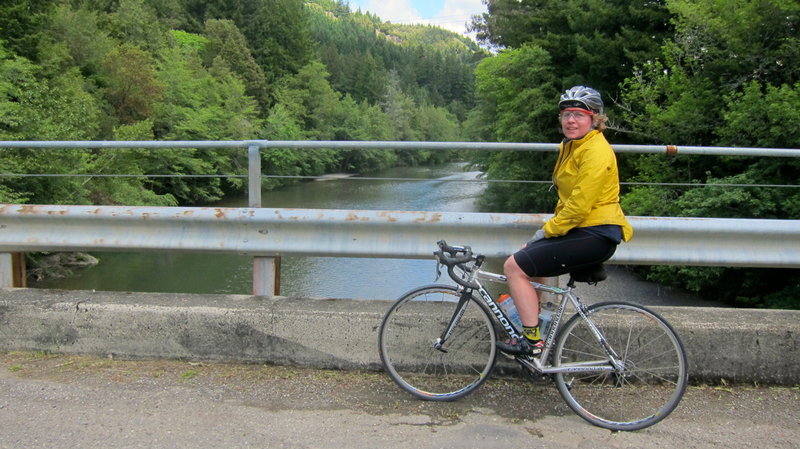 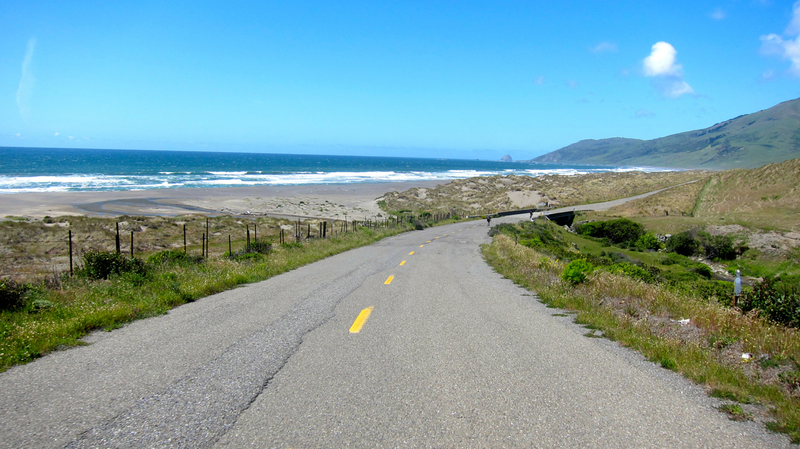 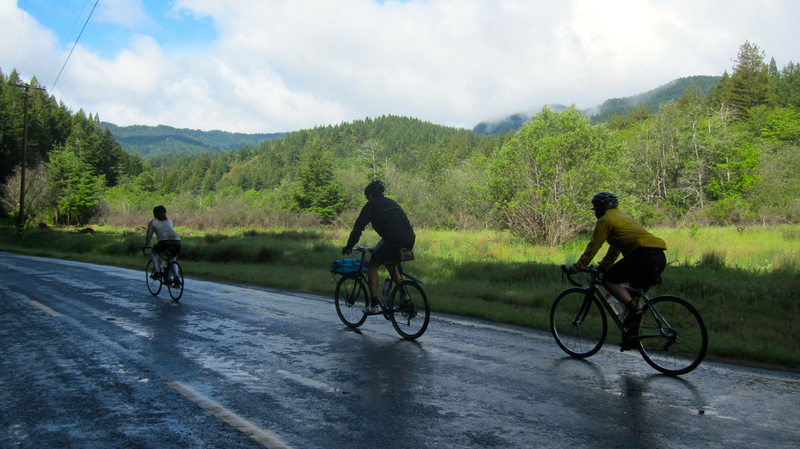 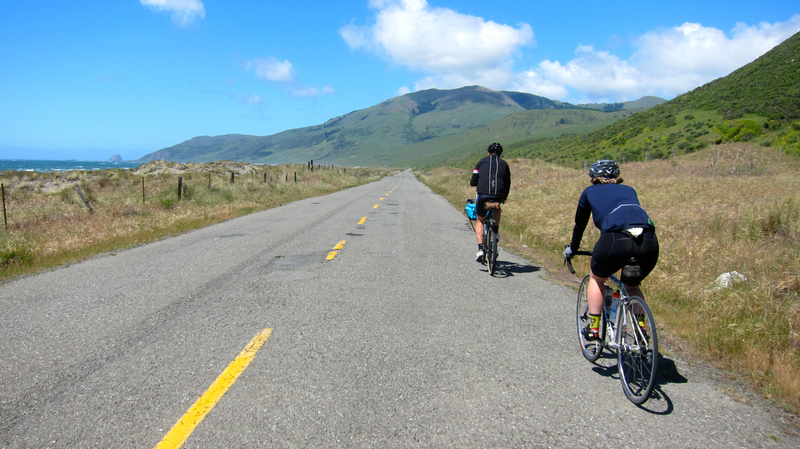 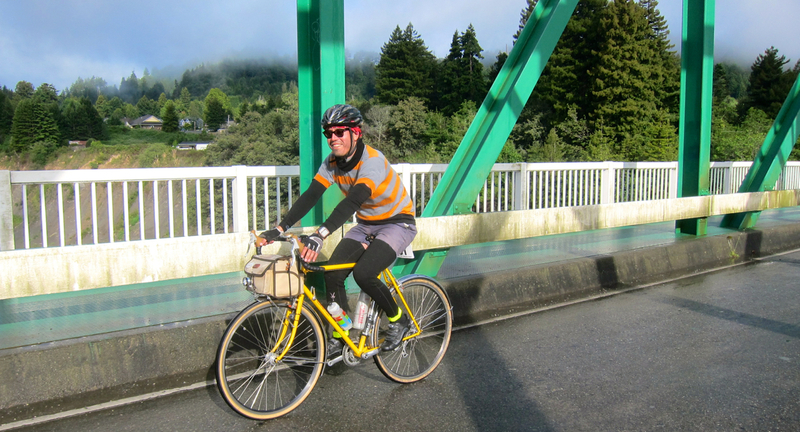 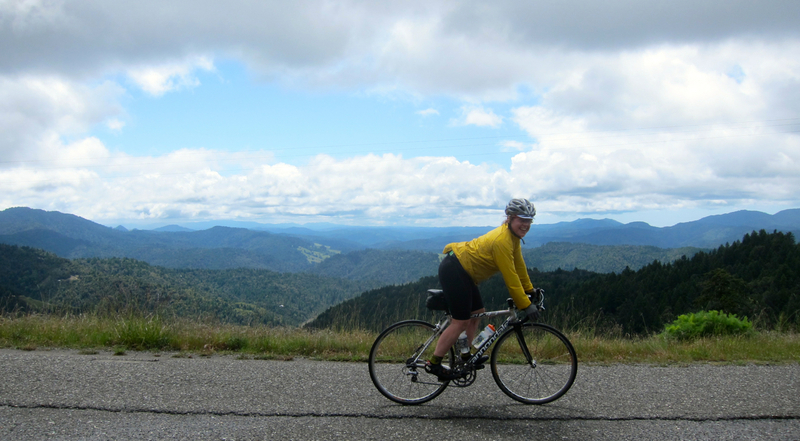 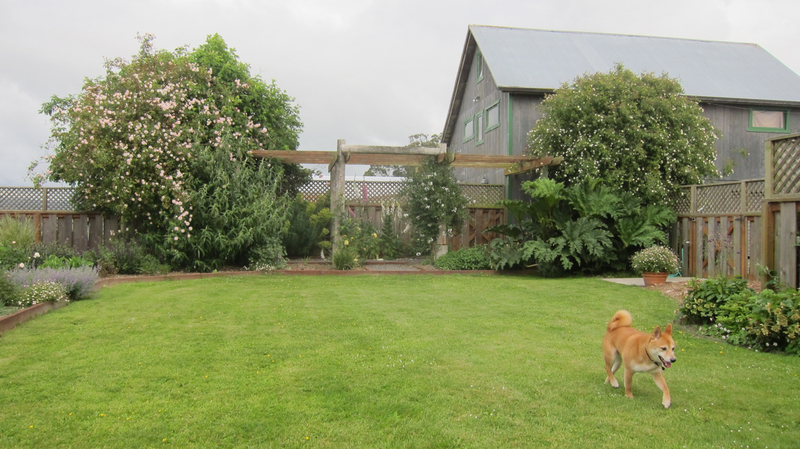 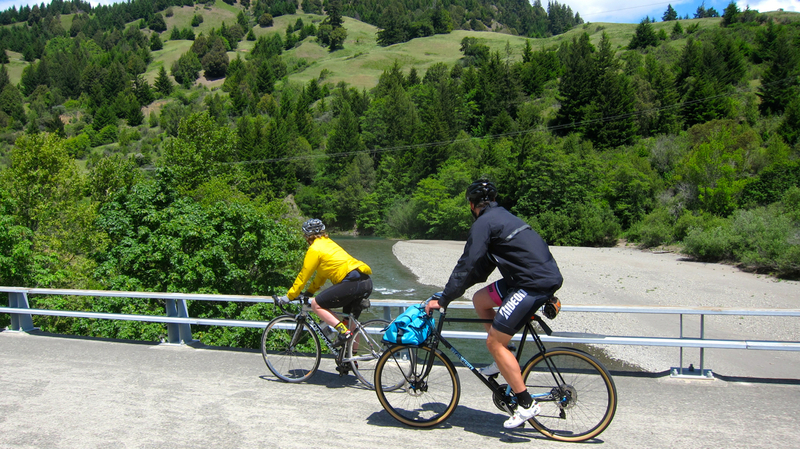 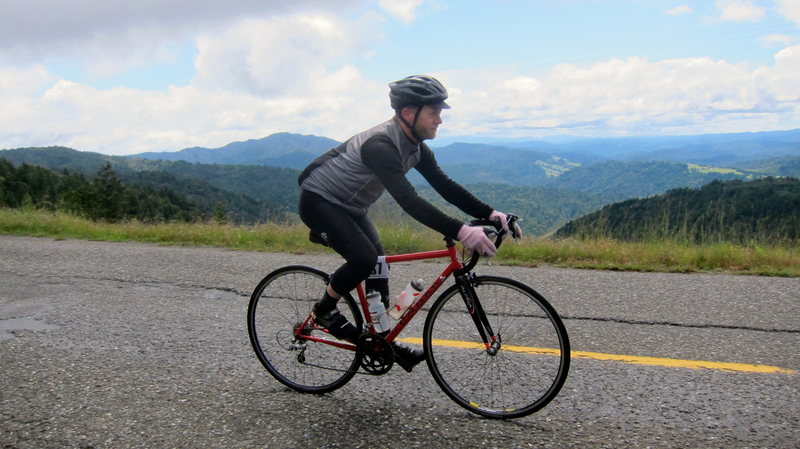 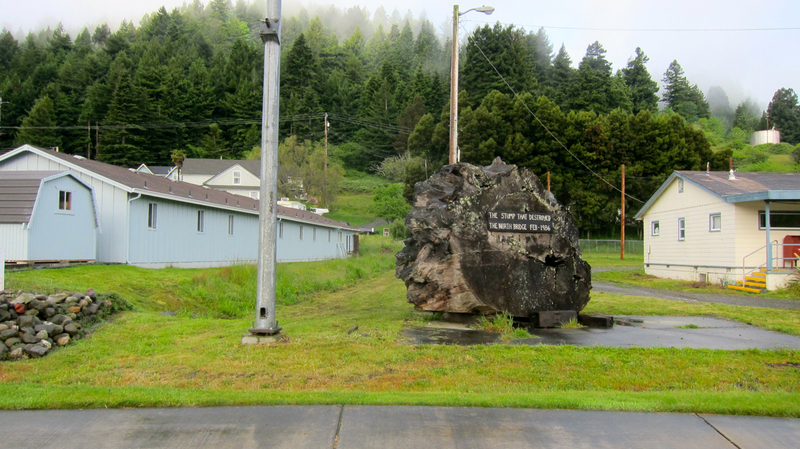 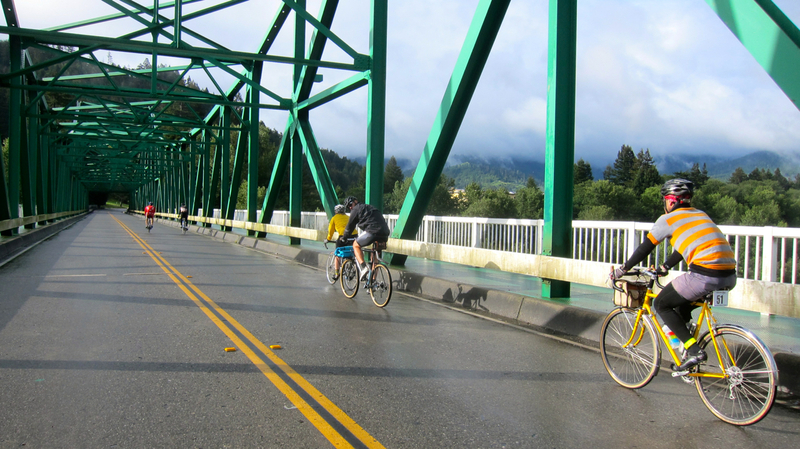 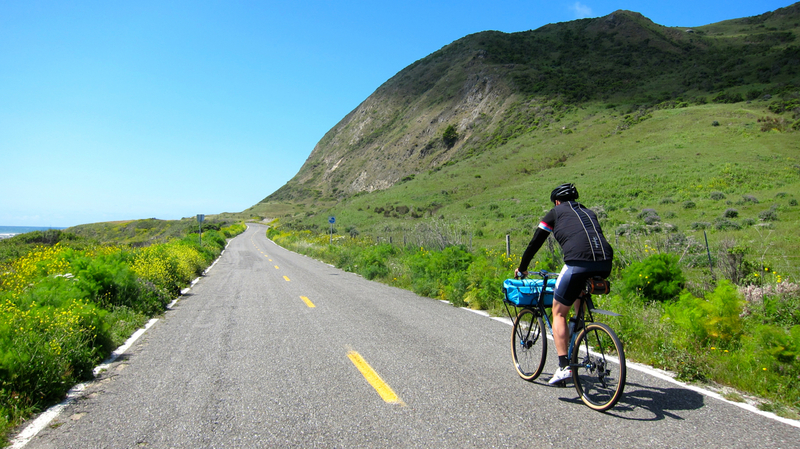 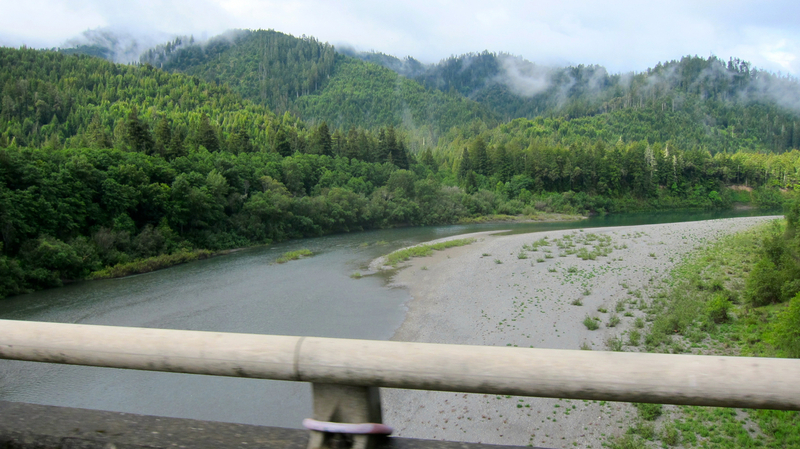 After passing through the picturesque farmlands of Mattole Valley, TBO, Ulrika and I slogged through the 15-mile headwind-besieged stretch along the Pacific Ocean. 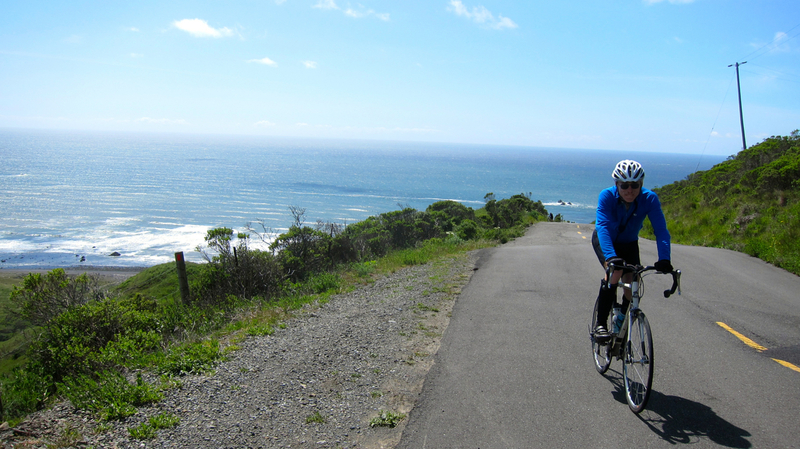 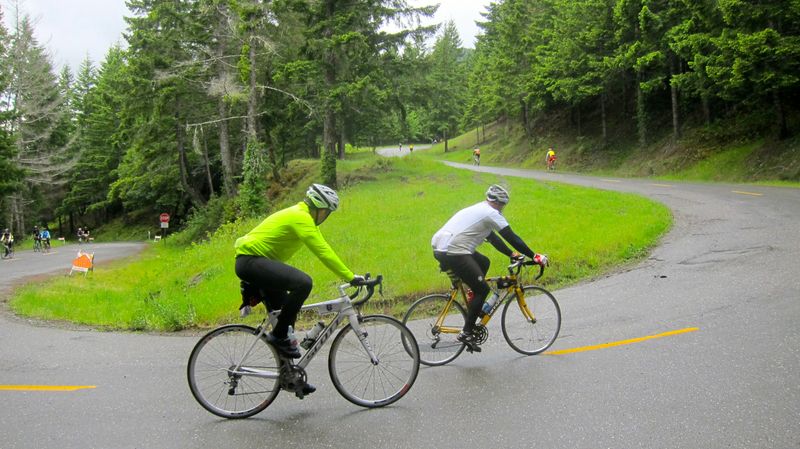 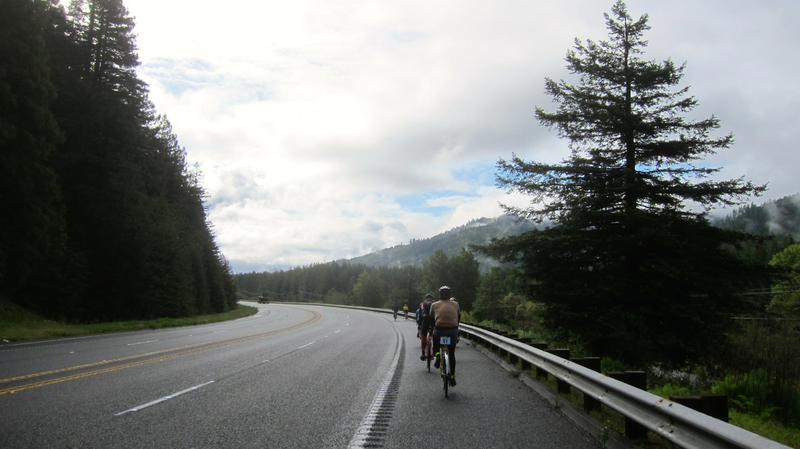 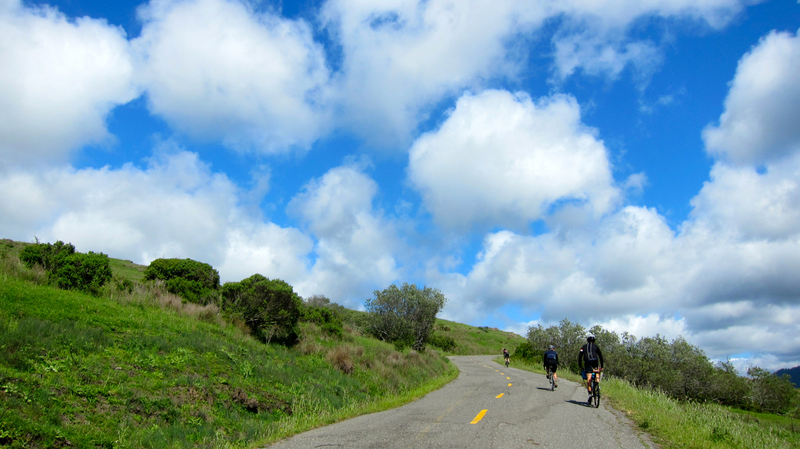 Our reward at the end was a short, steep ascent: the 1-mile, 18-22% grade climb affectionately known as “The Wall”. 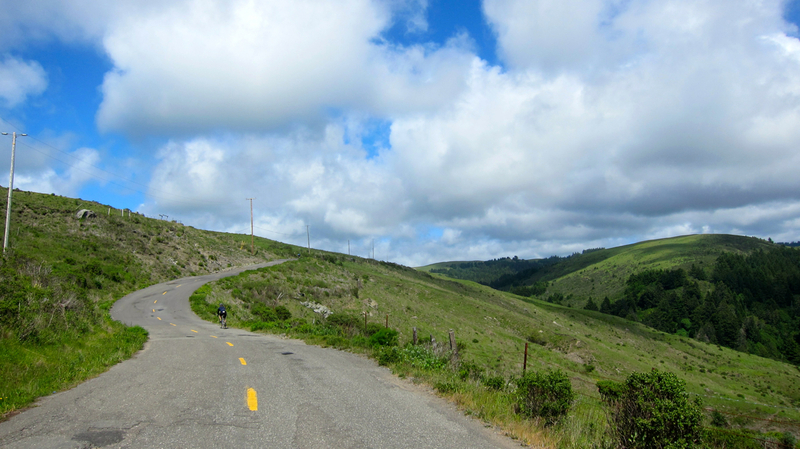 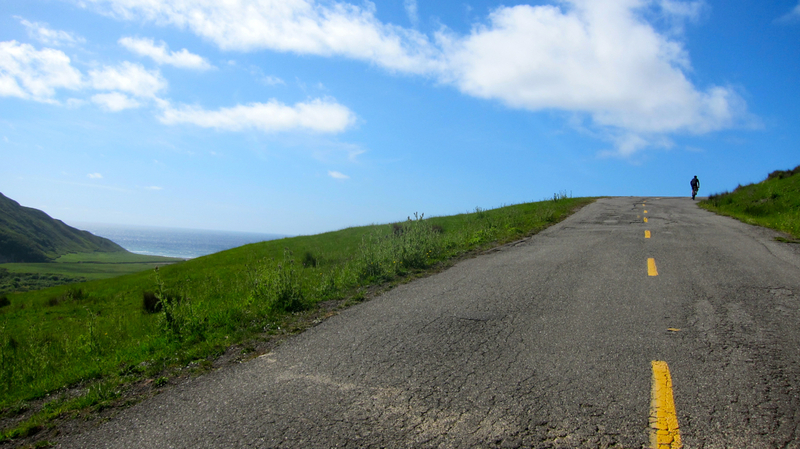 After that grueling warm-up, it was onwards to what makes this century truly challenging: the “Endless Hills”, which true to its name, is a series of never-ending climbs that makes up the bulk of the ride’s elevation gain. 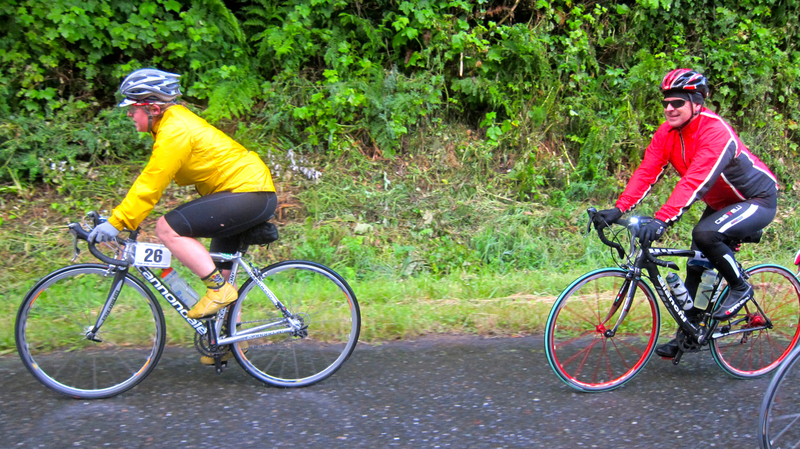 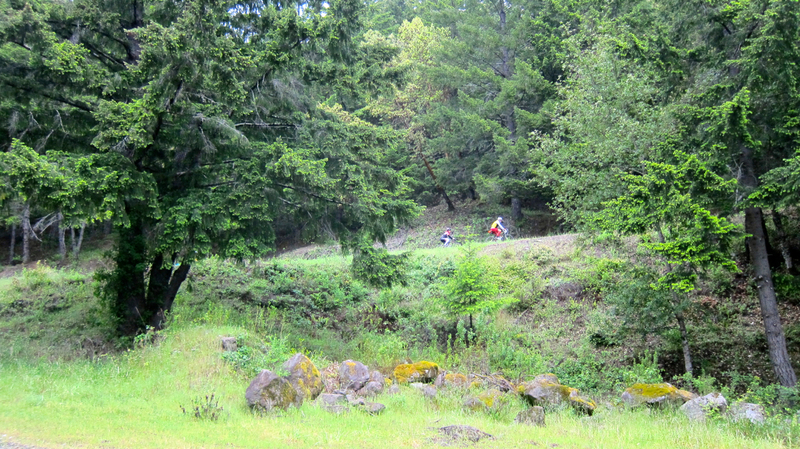 Ulrika slowed down her pace in this section, so TBO & I rode soldiered on by ourselves. 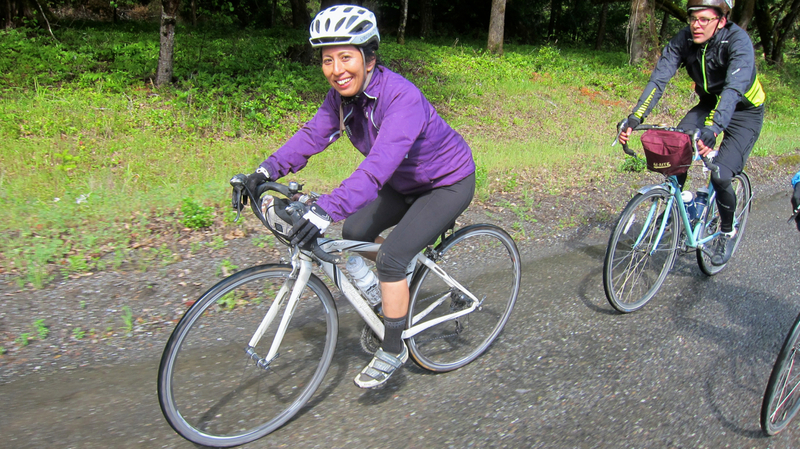 When we finally reached the final descent, we were greeted by a rough 4-mile road with hairpin curves and plenty of potholes. 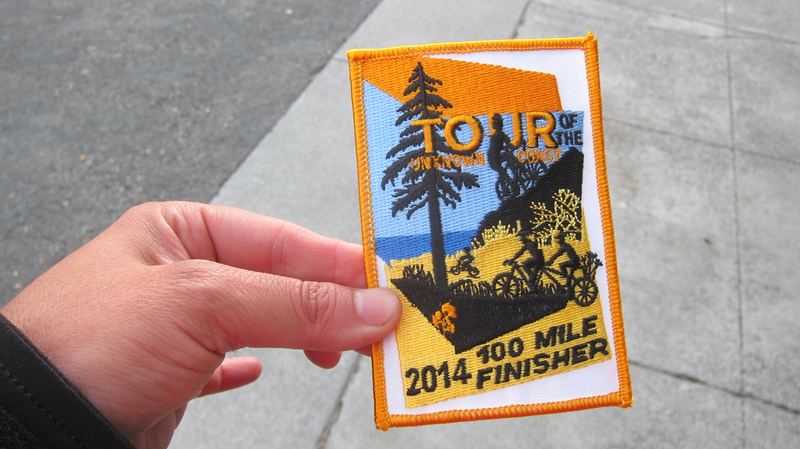 TBO and I finished just in time to grab our “finisher’s patch” and dinner (although Chava claimed the “1st Shower” award by heading straight back and arriving first at the homestead!) 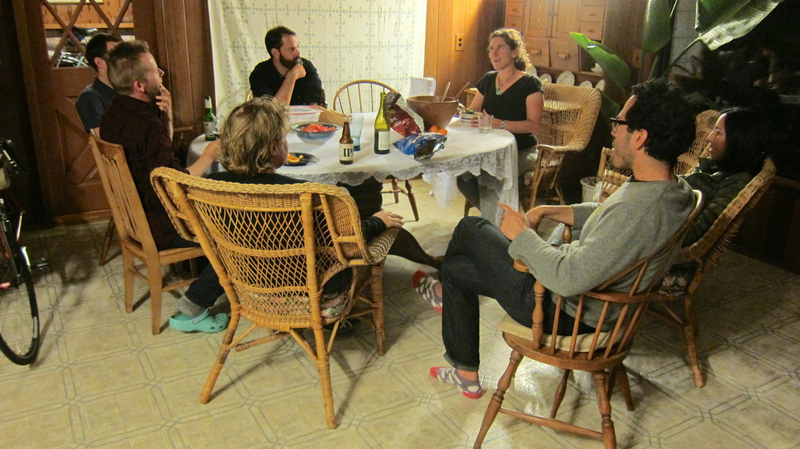 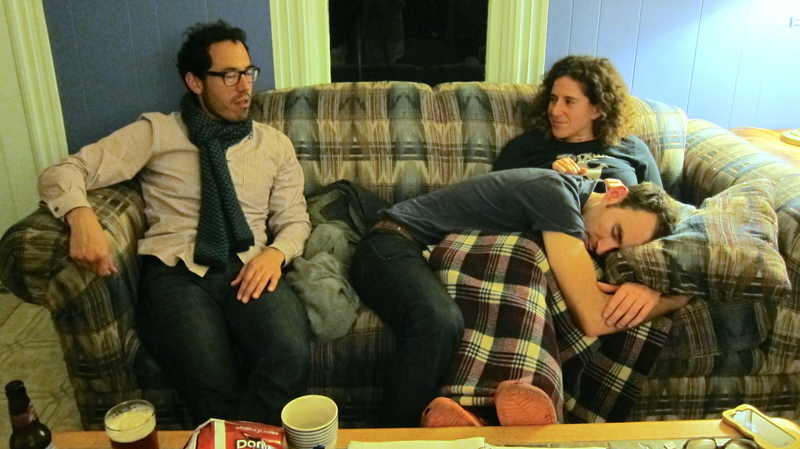 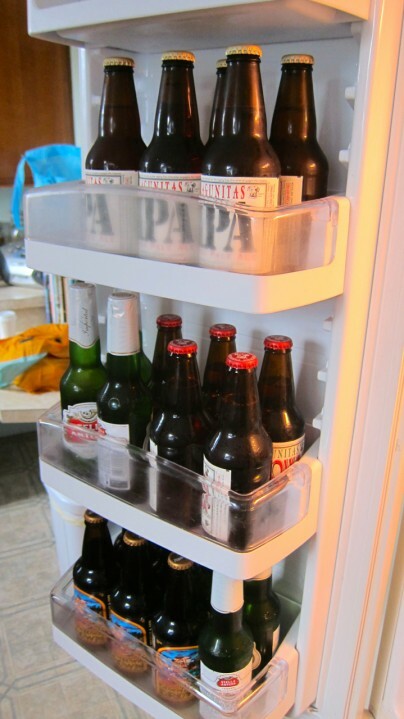 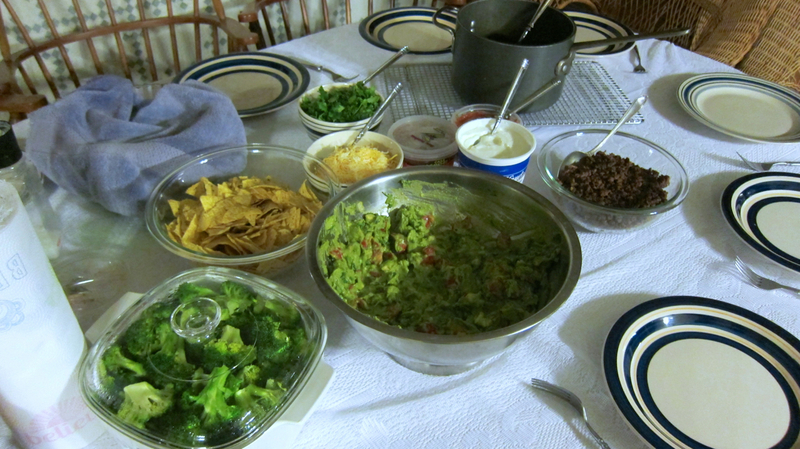 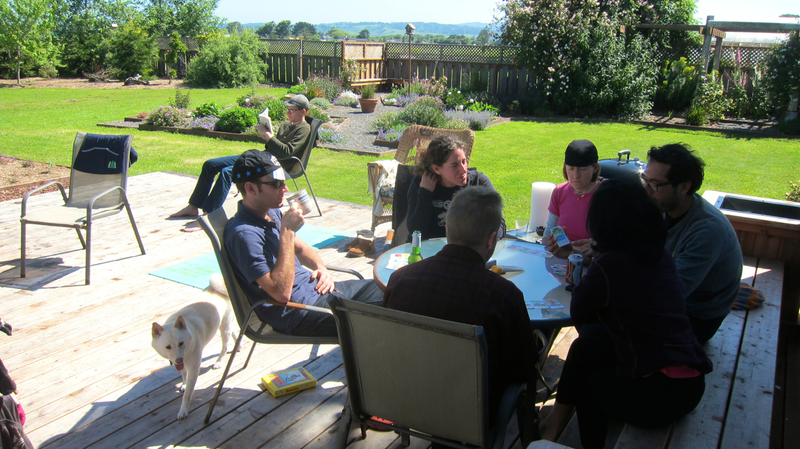 The rest of the gang rolled in and we all swapped stories; then we feasted on tacos and beer until it was time to pass out into a deep sleep. 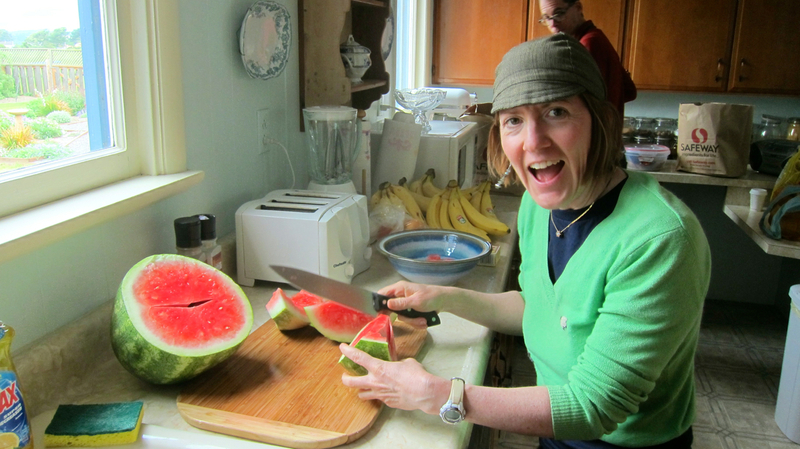 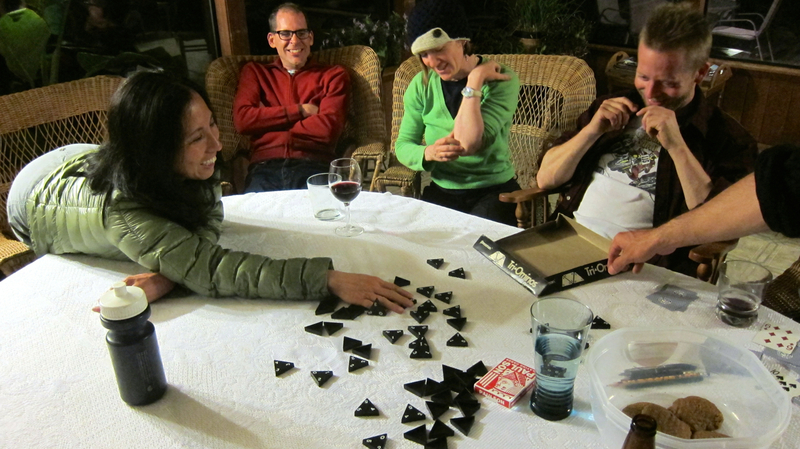 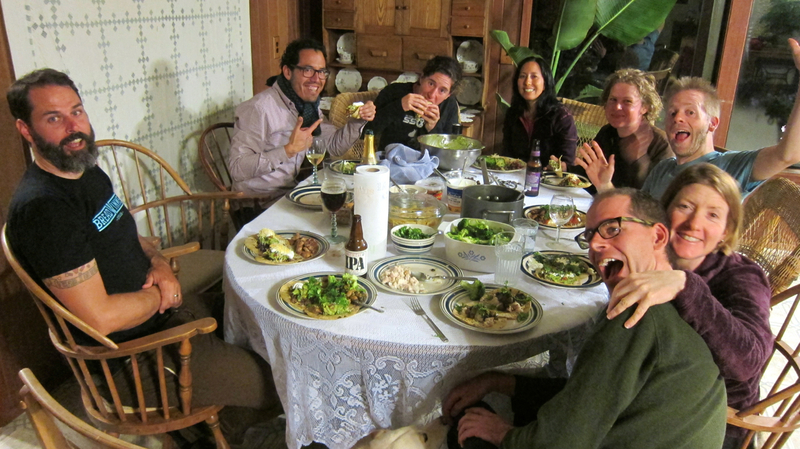 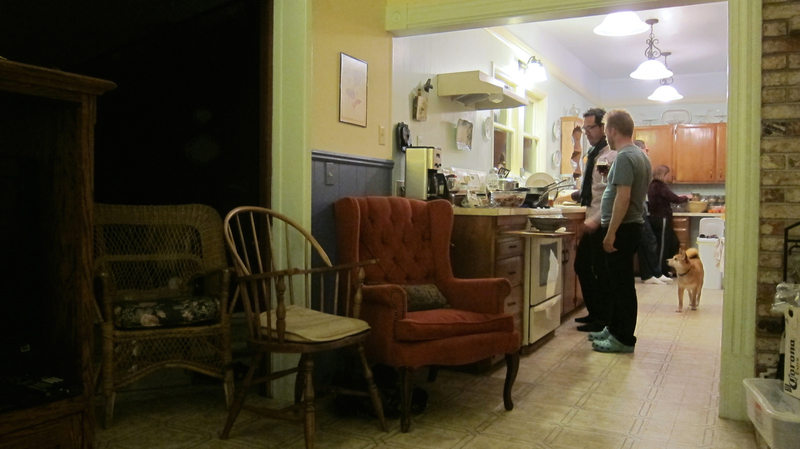 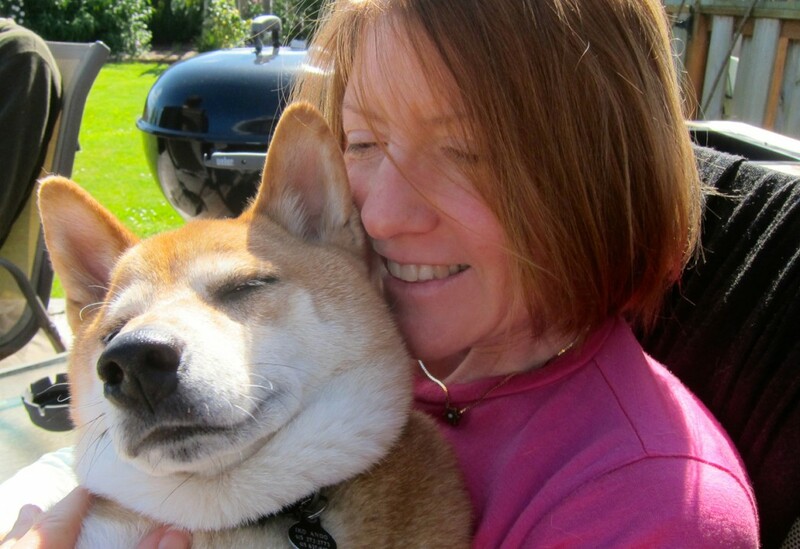 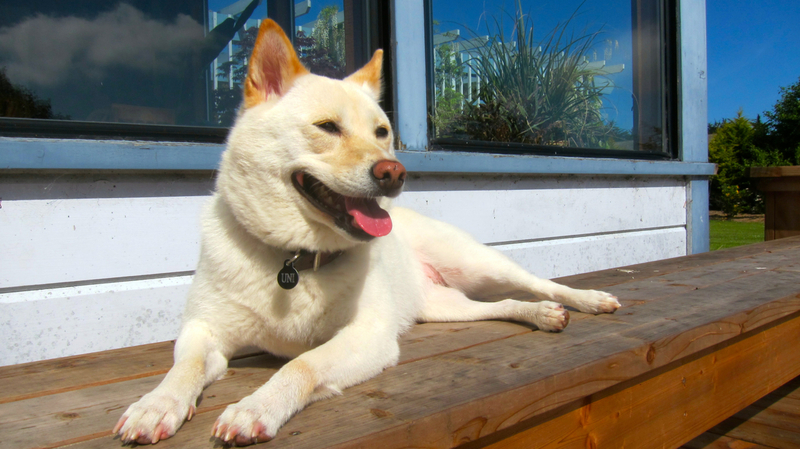 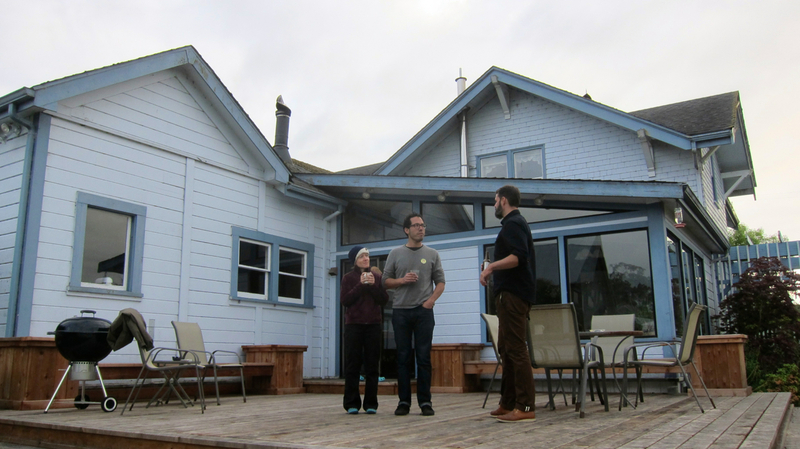 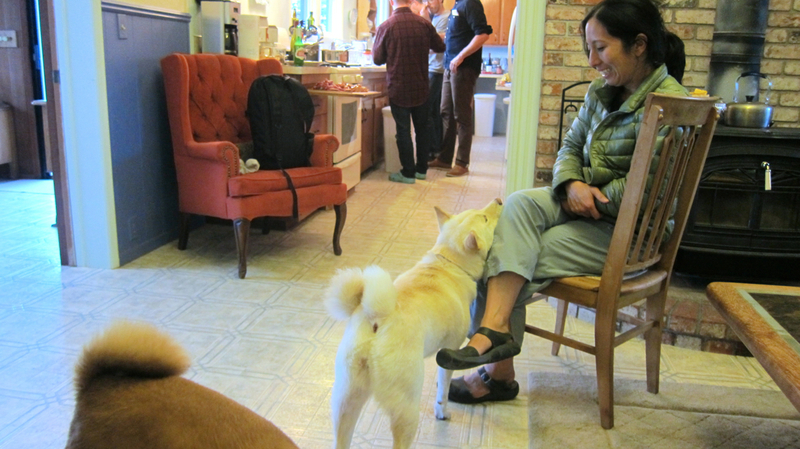 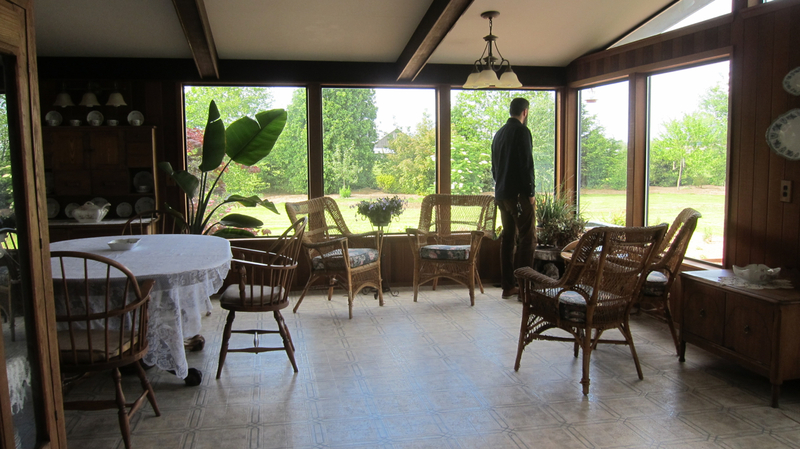 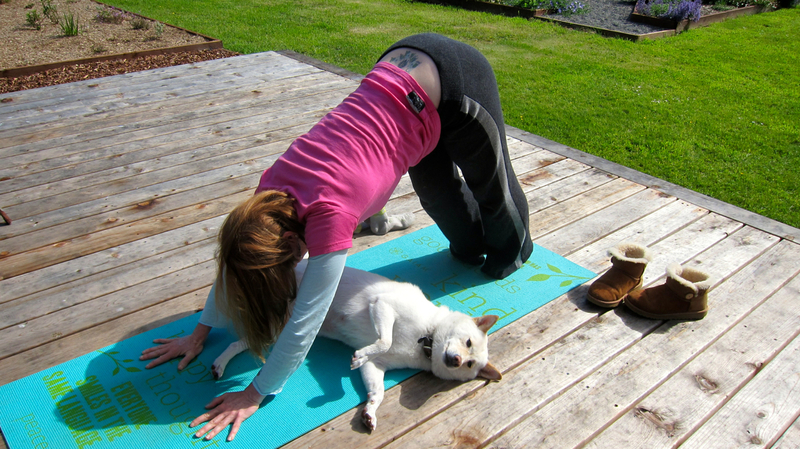 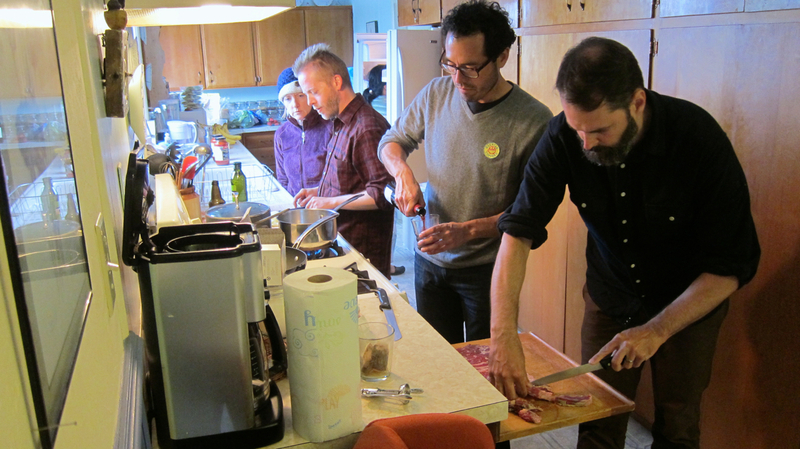 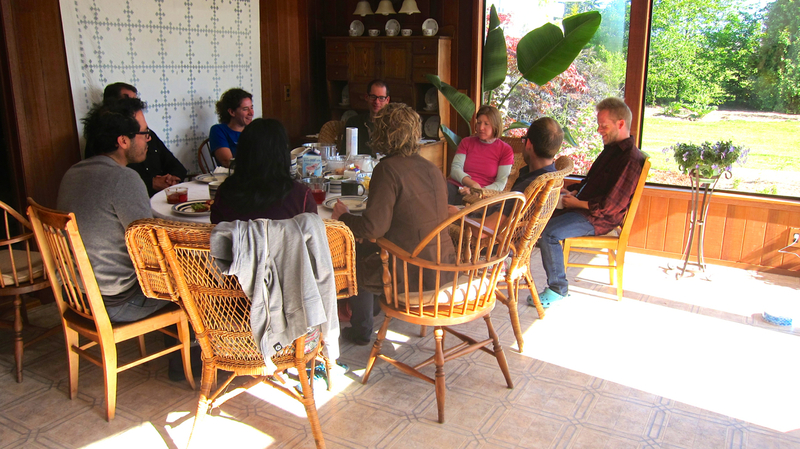 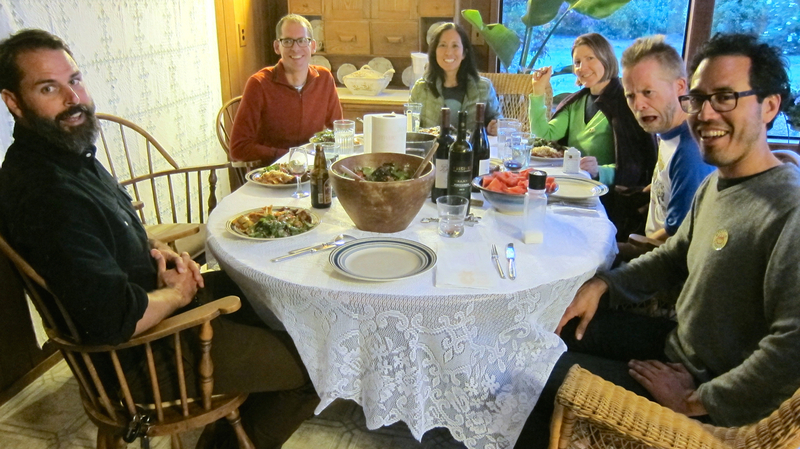 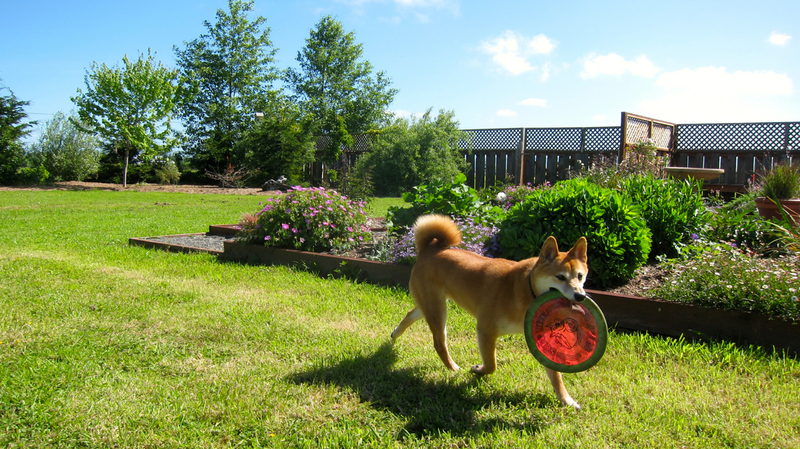 A big thanks to May for organizing this amazing weekend for all of us — it was an awesomely great time!